Robert Wilson and MrFranc like this. A great first AMP/DAC combo. Cons - -Design is questionable. -Coloured Sound not everyone's Cup of Tea. -Prioritizes USB connection over AUX-IN. -Foobar eq works when used in DAC mode. Just remember to enable "Exclusive Mode" under 'Playback Device' setting in windows. -LED is bright and easily visible. -High gain gives better audio quality even on non power hungry cans. -Bass Boost is functional and adds enough warmth to the mix to sound musical. -Volume Pot doubles up as Power switch. As for the Pot, it is very smooth and has a numbered knurled knob.This greatly helps in preserving hearing as the volume has to be minimum for switching it off. -Aluminium housing feels sturdy. Really a great build quality given the price. And yeah; it does look like a mini flask. -Pocketable size which makes it really portable, though not as portable as something like the Dragonfly from Audioquest. -For flawless playback on android(for kitkat and below), buy USB Audio Player PRO from playstore.Though most android devices ahve USB audio routing after the lollipop update. -Charging toggle switch is a nice touch. If using with a smartphone, you can disable charging. As a side note; I heard slight noise when charging was enabled and the source was my laptop. The noise is really audible on quieter and subtler parts of a track, recently it just disappeared. -Silicon mats provided are only useful for stacking purposes. FiiO should have provided with some rubber feet as when layed flat, the Pot cant be turned easily as it rubs against the table surface. -Battery lasts for quite a long time. 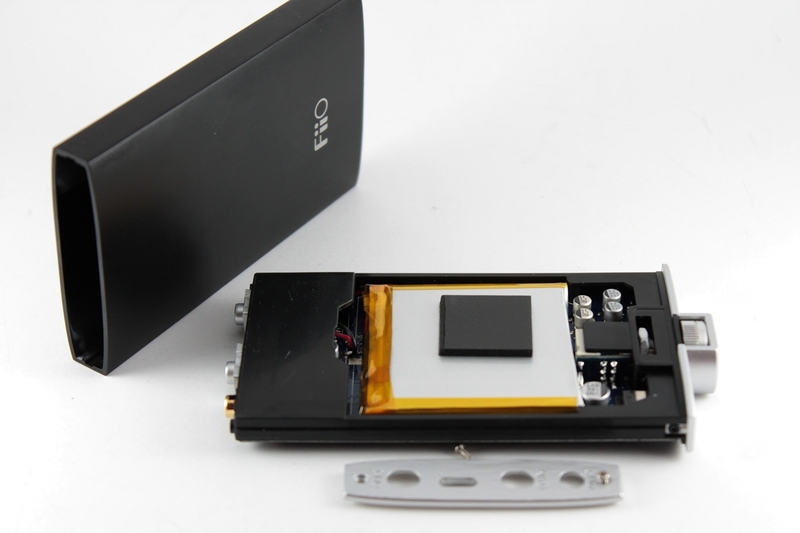 Not a surprise as FiiO quotes a battery life of more than 30Hrs given the 1400mAh battery. 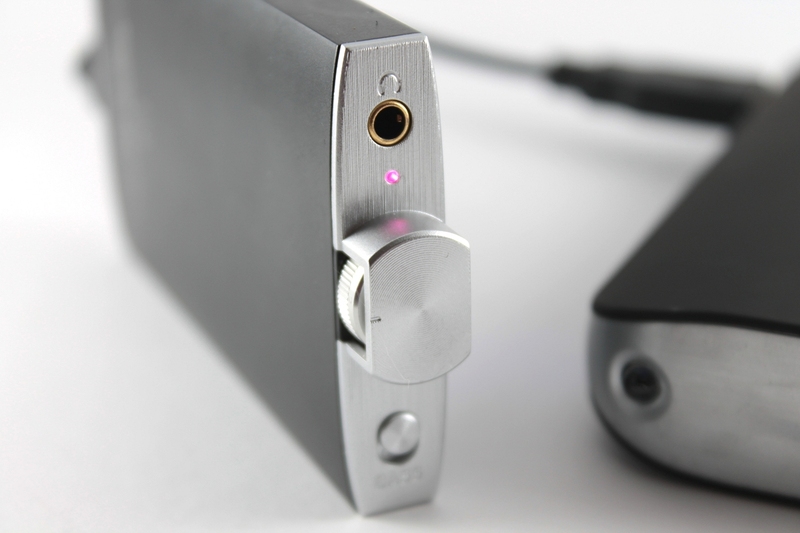 -LED colour does not change on the basis of the audio format/bit/kbps like in some high end DACs like the Chord Mojo. But given it’s price point, I may be nitpicking. 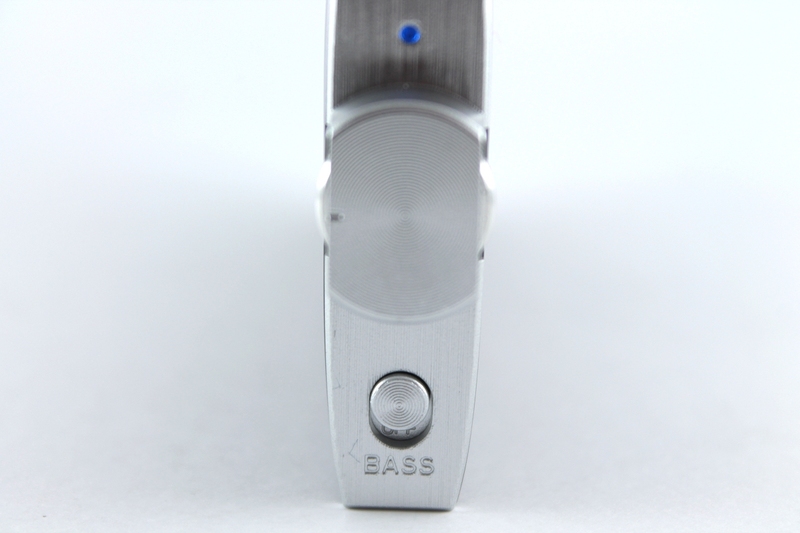 -Bass: Full-bodied and lush with nice sub bass extension. With Bass Boost on, there is a slight bass bleed in the mids. -MIds: Neutral. Just ever-so-slightly pushed forward but makes for a better musical sound. Also, detail retreival is great. -Treble: Slight roll-off maybe present. I said maybe because the headphones I used(SE215 and B&W P7) have rolled off highs too. Just take my opinion with a grain of salt. -Soundstage: Has a great improvement if you were using a crappy soundcard. But this also depends on the type of headphones you are using. -Playback is limited to 24 bit, 96Khz only. 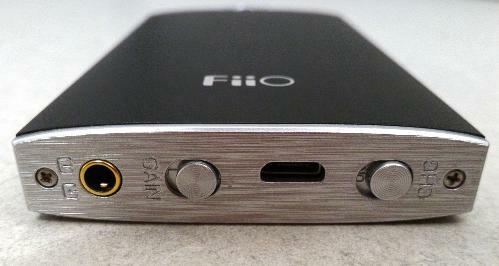 FiiO should have atleast provided 24bit, 192KHz. Any higher bitrate files are downsampled. -The convex body shape is a real pain when stacking with a smartphone or just keeping on a table. -At lower volumes(around 2-3 mark on the pot), there is some audible crossfeed. -The AMP is’nt that powerful. The amp section is powered by Maxim, specifically the MAX97220. My Shure SE215 have to be driven on high gain to make the listening experience great with the volume pot around 6 given that the SE215 is only 20 Ohms. Also,my B&W P7 have to be driven at high gain with volume pot around 7.5. 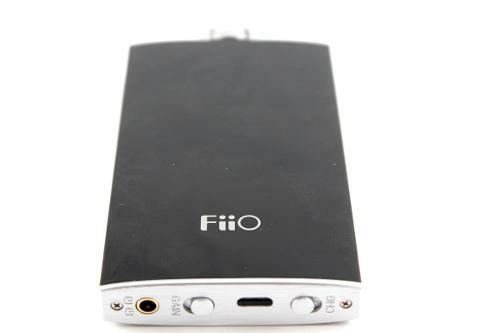 FiiO was a bit conservative in the amp department. -Has a slight warm tonality so purists will be left unhappy. -FiiO should mention about iOS compatibility and how-tos. Clean sounding portable at a low price! 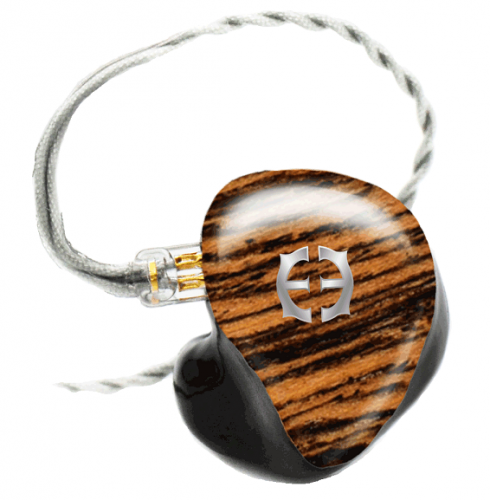 Pros - Easy to use, solid construction, clean sound, no hiss or noise, low price! 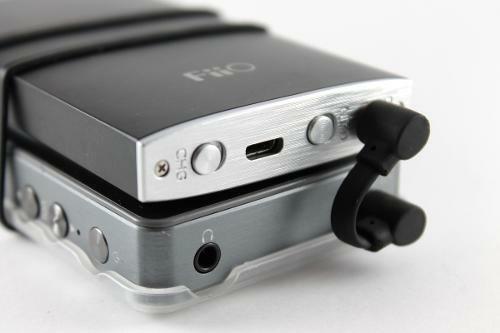 The FiiO Q1 is an easy recommendation for those on a budget. You would be hard pressed to find something that performs similarly for the asking price, below $100. I don't usually talk about the packaging or build of products, but in this case I feel like I must. The build is exceptional, I believe it is completely aluminum all around. 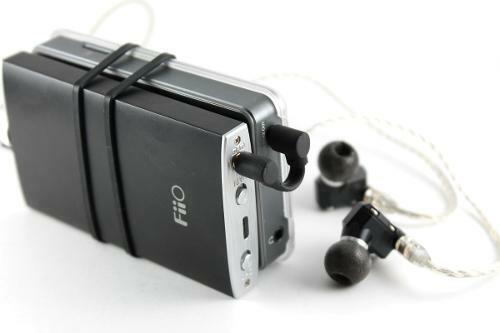 It is much sturdier and heavier than the FiiO E11. 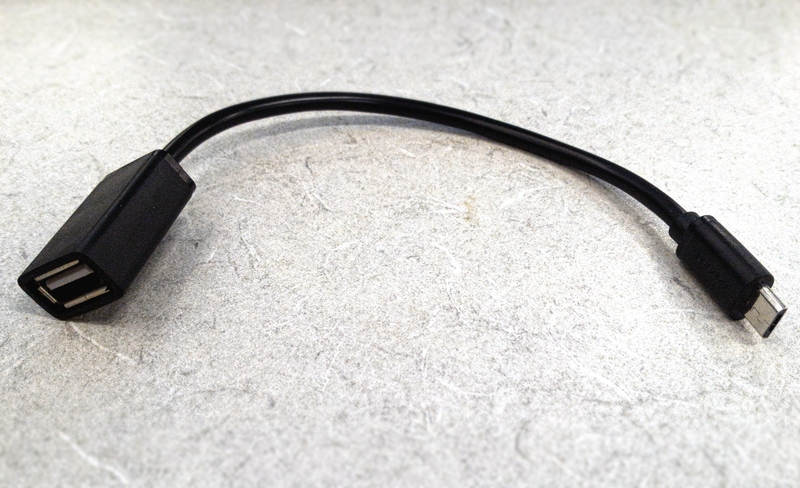 You get a very short 3.5 mm cable to connect with any phone or portable device, as well as a USB to micro USB connector to use the inside DAC. That means you won't have to go searching around your house for the right connectors. Disclaimer, I take an objective approach to my audio equipment. I don't really give in to the belief than multi-thousand dollar amps or DACs sound "better" than budget amps/DACs. 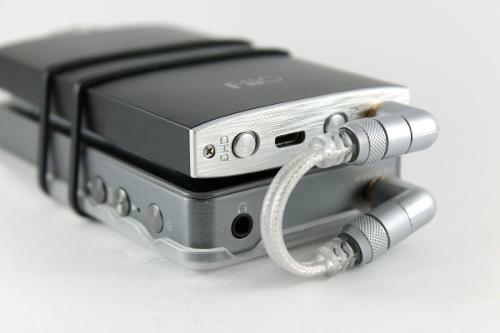 I have owned the ODAC + O2 for a while, and the Q1 gives me that sound in even a smaller package, so that says something. It is perfectly neutral, as a solid state portable amp should be. Same with the DAC. My only complaint is the power. 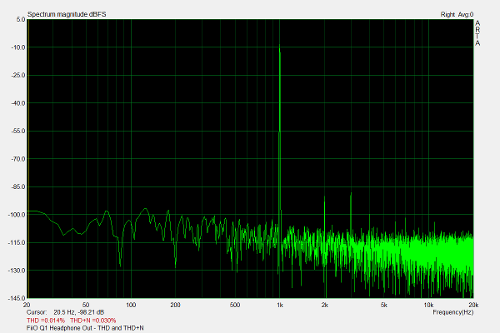 The E11 does have a tiny bit more power on high gain compared to the Q1, at the expense of more audible hiss noise. It cannot fully power my HD650s when listening to Classical, or any other very quiet music. With other genres, it does fine. One thing I am impressed by is the noise floor, which is basically non-existent. It is so dead quiet, even when turned up all the way at high gain with my sensitive IEMs. 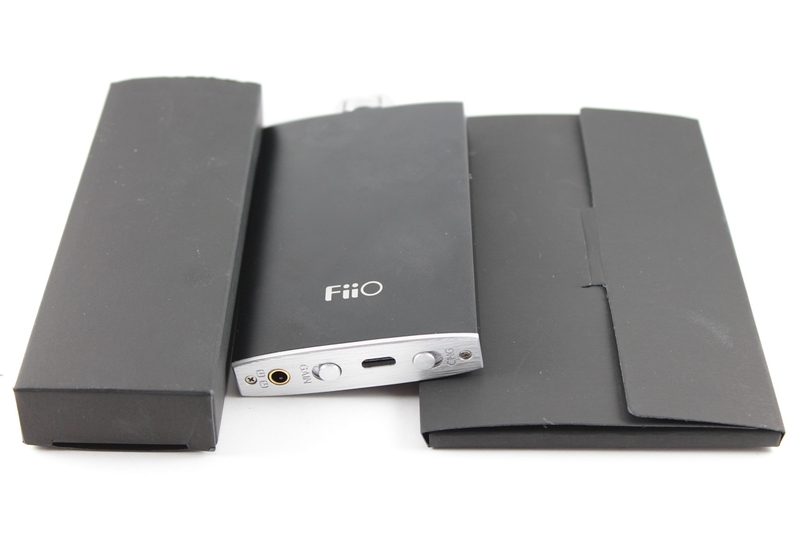 Very impressive improvements by FiiO. Also, it is extremely simple to set up. Just plug in your computer, and no drivers are required so you can just start playing music right away. 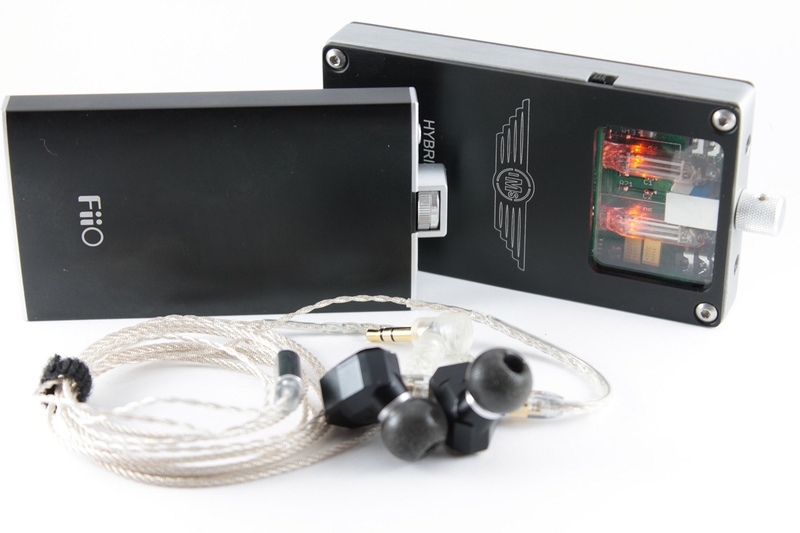 For IEMs and low impedance headphones, this amp/DAC may be all you need. For stuff like planar magnetics or Sennheisers, look at a desktop solution. 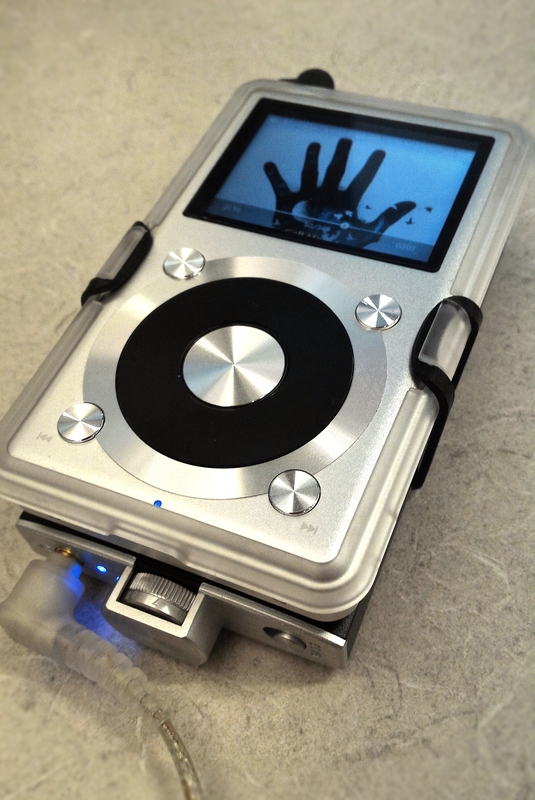 Not that you would get a portable amp/DAC just for hard to drive headphones. Overall, one of the best portable amps for the money IMO. Nice review. Short, sweet and to the point without a thousand words about the shipping package blah, blah, blah.... I buy the device and could give a monkeys toss if they ship it in a blue or black box with red print etc. 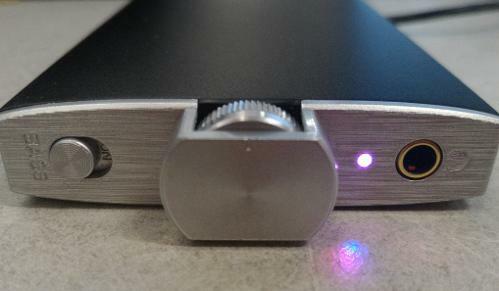 I own this amp/dac and must concur, it is a very nice device and punches way above its price class. I use it quite often and would recommend it to anyone as an inexpensive portable device. It does what it says on the can without any fuss. Cheers. Good DAC/amp with nice features. Worth the price, but needs headphones with good treble to shine. I got this while under the impression that any external DAC will be better than integrated audio (false, apparently) and while still believing that the usual widely-quoted specs like SNR and THD could tell you the whole story. My best headphones at the time were the Koss KSC75, so I tested it with those: did A/Bs at the office between the office PC and the Q1, then between my phone (HTC One M7) and the Q1. The differences were so small that I couldn't even be sure there were any differences (that it wasn't all just placebo). But I chalked that up to the noisy office environment and forgot about it. Then a few days ago I saw a discussion in a forum where someone said they were disappointed with the lack of sound quality difference made by the Q1 and had to send it back. Shortly after that I found the Geddes & Lee papers alleging (but failing to prove, as it turns out) that widespread distortion measures like THD and IMD are meaningless, and these two new pieces of information put together made me seriously question my Q1 (again). So I did the A/B comparisons again. This time my best headphones were the burned-in Superlux HD668B, which are pretty bright and otherwise flat, and much better than the KSC75, and thus by all acounts should allow the Q1 to shine. The phone was the Xiaomi Redmi 3. And again my experience was that the differences are so small that I can't even be sure I'm not lying to myself in saying that they're there. If the differences are real, they manifest as better detail in the treble and better imaging (narrower positioning of each instrument). But if I'm going to pay money for an extra device of this kind and if I'm going to carry it around in addition to my phone, I'd like its sonic benefit to be unquestionable. And it isn't. So, long story short: don't buy this as a DAC, chances are it doesn't do much that your integrated audio doesn't already do. I for one am disappointed and I'll be looking to sell mine. OK, I've taken the time to test this little thing more carefully in a silent environment at night, again with the Superlux HD668Bs, and this time taking care to switch the cables faster so I don't forget the previous sound like I was doing before. - deeper soundstage (artists not so in-your-face but sounding like they're somewhere farther back). Putting this together with all the other features and conveniences, I have to say I've changed my mind and I think this is a recommendable device after all. You do get your money's worth considering the price and the improved sound. Just make sure you're using it with headphones that do a good job of representing the treble, both in terms of extension and neutrality, or you could end up hearing no difference relative to integrated audio (like I did and still do when listening through something like the Koss KSC75s - treble too grainy - or the Philips SHP2000s - hardly any treble extension). OK, this does seem to be the stage I'm at in learning about this tech: which components in the chain have a better ability to unlock the others' potential, dollar for dollar. So since you gave some examples, let me ask this: would you say the 650 is _significantly_ better than the 558 in any terms _other_ than frequency response curve? Or, put more generally: once you get an acceptably flat-responding headphone, are there still any _major_ sound quality improvements possible to get if you spend more, assuming you're sticking with dynamics (no planars, no electrostatics)? As for coupling a good DAC with (sub)mediocre headphones, I guess I'll find out how far that can go when my Oppo HA-2 arrives. If the Oppo also turns out not to sound much better than integrated audio through the HD668Bs I'll consider updating this review. The most important aspect is your headphones. Then you DA. Love it! Changed the way I listen to music. Pros - Build quality, studio grade audio quality, long battery, portable, in-expensive. Cons - Not very powerful amplifier, crappy android driver. I bought a new ASUS laptop and it had a crappy Realtek on-board audio for the headphone port and I was so pissed off at the crappy audio quality. It was very cringeworthy. I never had any problems with my old laptop, or my iPhone's audio quality. But my Note 4 has a crappy on-board Snapdragon DAC and my ASUS laptop with it's crappy Realtek which I hate with a burning passion, I decided to buy this. I never considered myself an audiophile, but when I hear bad quality I can't stand it. I bought this and WOW, I don't regret it one bit, worthy EVERY penny. I REFUSE to use anything but this for listening to music on, I connect it to my phone, laptop, everything! I tried today to connect my headphones to my iPhone directly and listen, I couldn't take it, within minutes brought the DAC out. When I first received this, I listened to music ALL night and my jaw dropped all night. You can ask any of my friends, I raved about it for the first few months I had it. It still shocks me till this day with new songs I discover. The audio quality, umm, how to explain it, studio grade. I was fine with my old laptops audio quality (IDT) but this goes above and beyond your 'acceptable quality'. This sounds like something I'd be listening on at a recording studio for some top artist. Everything sound so clean and real. Vocals sounds like the person is talking right into my ears, like they have their microphone plugged straight into my headphones. Instruments you hear a big difference, they sound so clean and real, and FLAC makes it even more better. I get shivers down my spin with this quality. For $70 it far exceeds it's price tag imo. 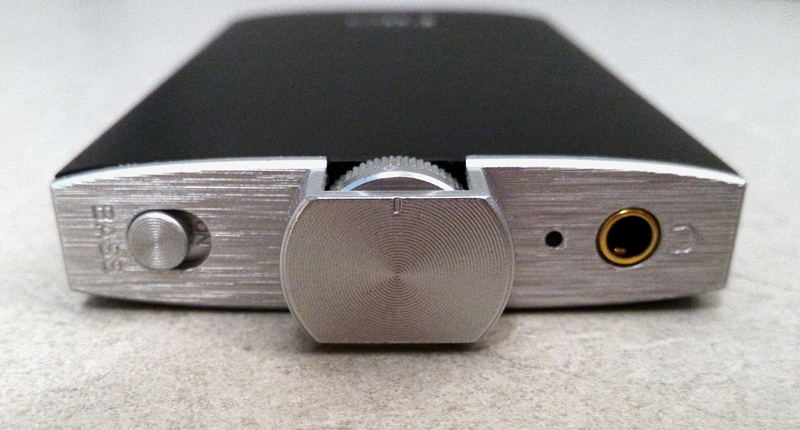 If I can get this quality at $70 I can't imagine what I can get with their $500 DAC, which I plan to buy later. Build quality is VERY nice, the whole thing is metal and the headphone port is gold plated and looks very high-end. The volume knob is nice, even though I prefer digital up/down buttons. Just the build quality alone should tell you this is going to be a good product. The battery lasts I'd say 6 hours, it's not bad, and you can charge it while listening with no notice in degraded audio quality. 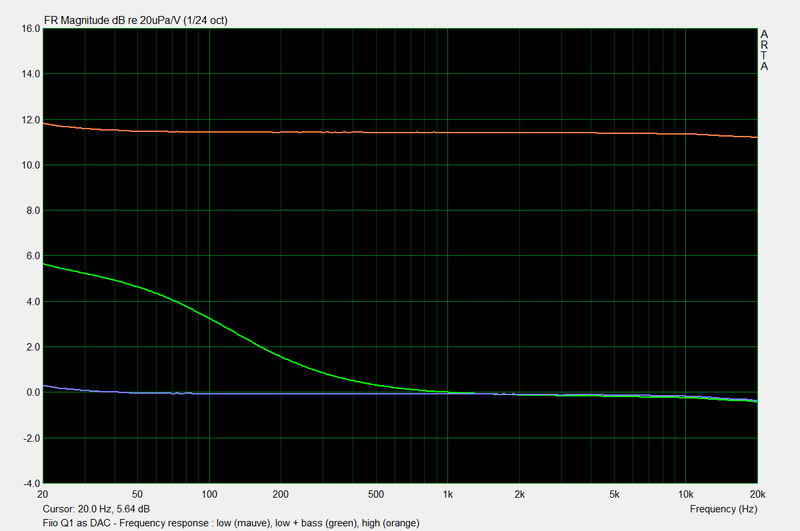 The amplifier is not as powerful as I'd like, but for my small on-ear headphones having the gain on High and at vol. level 6 it's plenty loud. But if you have big headphones that are say over-ear this may not drive them very loud if at all. I think this DAC/amp is designed more to be portable and for in-ear headphones and small on-ear headphones. People say this DAC won't work for your Android phone, that's incorrect. I have Note 4 and on 5.1.1 and 6.0.1 the DAC has worked, however with complications but it does work. Every time I want to use it on my Note 4 I have to restart my phone and very shortly after it's done booting plug the DAC in. Play audio RIGHT away, if it sounds robotic, re-plug the DAC in and keep trying, sometimes a few times then it'll work. It does this very often, but I've had the DAC work everytime. The drivers for this on android are a bit flaky as you can see, but this is software and Google can fix the driver. As for my computer, NO problems, NEVER. Always plugged it in, and right away works. Driver is plug-n-play on my Windows 7 Ultimate 64-bit. 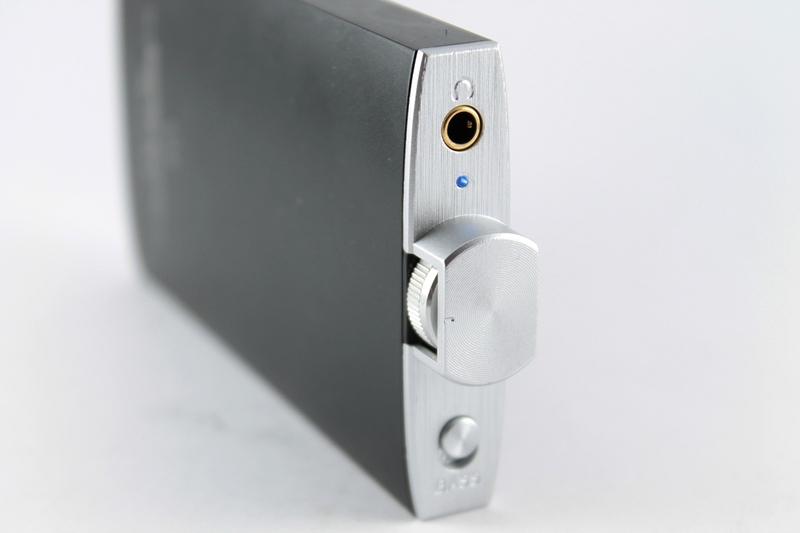 In conclusion, BUY THIS DAC. It's WELL worth the money, and you'll go from 'acceptable quality' or even 'cringeworthy quality' to STUDIO grade that'll make you LOVE music again. I can honestly go as far to say to my friends, buy it, and if you don't fall in love with it, I'll pay for it. What headphones do you use with the Q1? 3. If the app throws any errors that means USB Host is not properly enabled on your device. Dac should work fine now. I borrowed a K17 from a friend before making this purchase and loved the sound. Since I did not adjust the bass or treble on that and the frequency response curve was perfectly flat on the Q1 http://www.fiio.net/en/products/44/parameters I decided that it would be completely satisfactory. This was not the case. Even with the bass boost off the low end is incredibly loud, with it on it is almost unbearable to listen to anything. If you like bass then I think that this would be excellent. Aside from the bass level the sound was well worth the price. Choosing a portable or transportable set-up can be a daunting choice – especially for anyone new to the audio game. Do I need an amp? What are the improvements I can expect? Are there advantages over having a DAC/amp combo? Does spending a lot more guarantee me good sound? What am I missing out on? It can be a minefield with many differing opinions, and a lot of different subjective opinions. In tandem with that is the many opinions tendered on what adding a new amp or amp/DAC can actually bring to the table in terms of clarity! details! soundstage! As I’ve gained a lot more experience, and (more importantly) tested more, I’ve come to realise that many of the differences I thought I’d previously heard are pretty subtle, and mostly occur because I wasn’t volume matching while comparing different amps or sources. 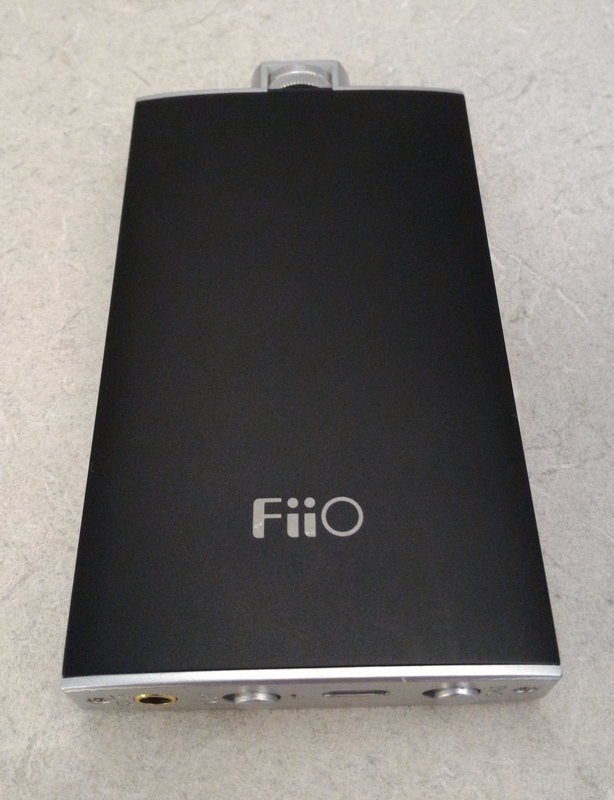 I’m a lot older now, and a little wiser, so if you’re interested in reading one person’s view of the FiiO Q1 DAC/amp and how it changed my opinion of my iPhone 5S output, then sit back and relax while we delve into the performance and features offered by this excellent little device. I’ve tried to mix a little objectivity in along with my subjective impressions – and hopefully this will combine to give you a fair and balanced view of my experience with the Q1. 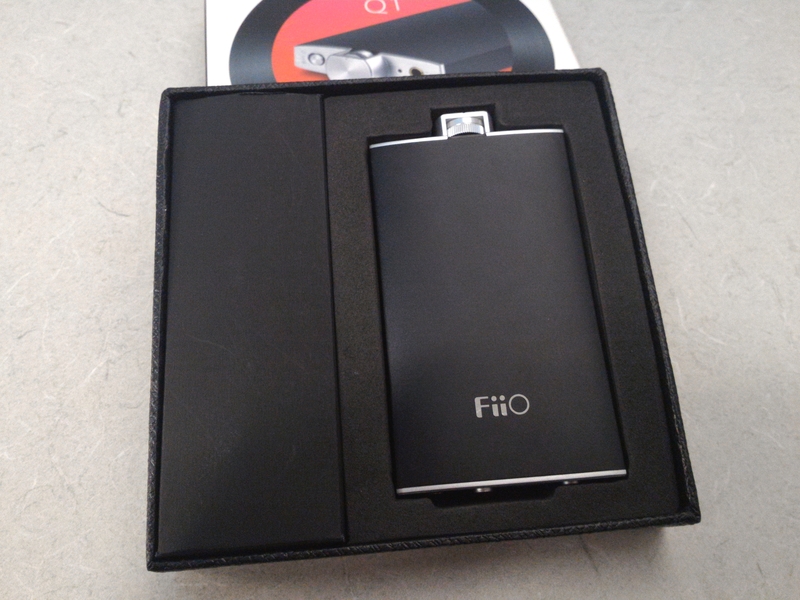 The FiiO Q1 was provided to me gratis as a review sample. I have made it clear to FiiO that I still regard any product they send me as their sole property and available for return any time at their request. But I thank them for the ability to continue use of the Q1 – both for follow up comparisons and also for my own personal use. The FiiO Q1 can be sourced from Amazon for approx. USD 70. 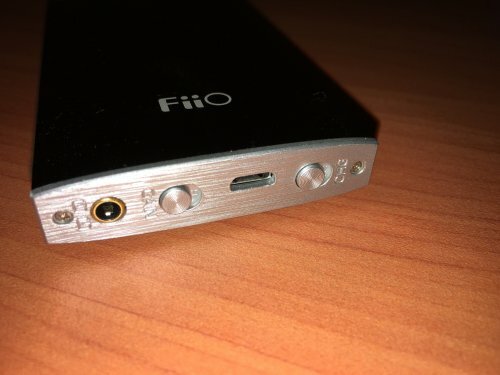 I have continued to use the Q1 for follow up reviews, and I recently inquired if I could purchase the device from FiiO. They have insisted I keep the Q1 for my own use. So I acknowledge now that the Q1 I have is supplied and gifted completely free of any charge or obligation. I thank FiiO for their generosity. I'm a 49 year old music lover. I don't say audiophile – I just love my music. Over the last couple of years, I have slowly changed from cheaper listening set-ups to my current set-up. I vary my listening from portables (FiiO X5ii, X3ii, X7, LP5 Pro, L3 and iPhone 5S) to my desk-top's set-up (PC > USB > iFi iDSD). I also use a portable set-up at work – either X5ii/X3ii/X7 > HP, or PC > E17K > HP. My main full sized headphones at the time of writing are the Beyer T1, Sennheiser HD600, and AKG K553. Most of my portable listening is done with IEMs, and lately it has mainly been with the Jays q-Jays, Alclair Curve2 and Adel U6. A full list of the gear I have owned (past and present is listed in my Head-Fi profile). I tend to be sceptical about audiophile ‘claims’, don’t generally believe in burn-in, have never heard a difference with different cables, and would rather test myself blind on perceived differences. I am not a ‘golden eared listener’. I suffer from mild tinnitus, and at 49, my hearing is less than perfect. For the actual listening part of this review I used the Q1 both with my X3ii, stand alone with PC and netbook (to test the DAC), and also paired with my iPhone 5S. This is a purely subjective review - my gear, my ears, and my experience. Please take it all with a grain of salt - especially if it does not match your own experience. Volume matching was done with a calibrated SPL meter and test tones (1 kHz) when required for comparison. Frequency response and distortion measurements were taken using a relatively cheap Startech USB soundcard, which I know gives me a pretty good measure of objective data – but is somewhat limited by the card itself. By that I mean that I’m measuring the limit of the Startech’s performance on THD, and I believe FiiO’s published figures are more accurate. 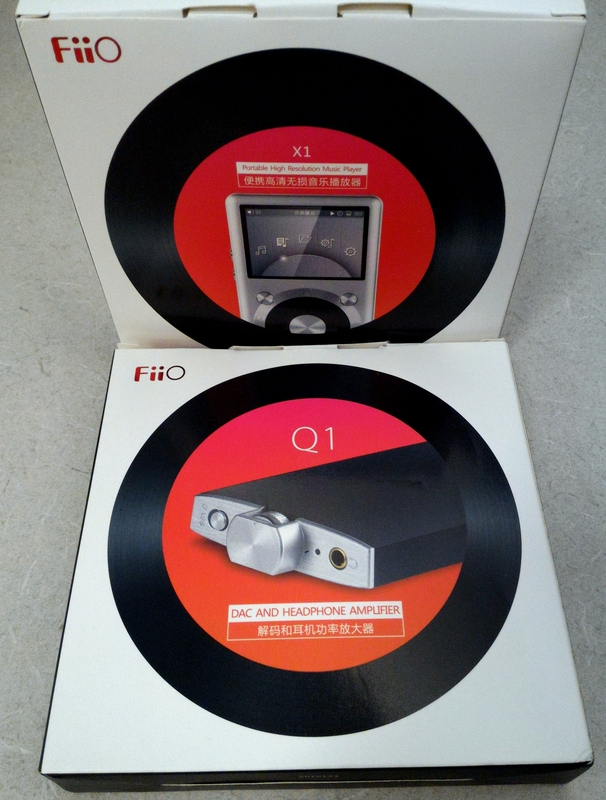 The Q1 arrived in FiiO’s standard retail packaging – a white, red and black box measuring 130 x 130 x 24mm. 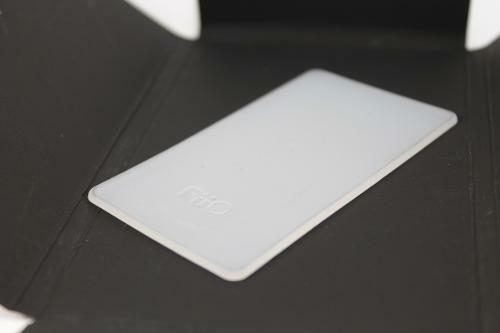 The front had a picture of the Q1, and the rear has some specs and other information in English and Chinese. Two things I’d like to mention in particular are the silicone stacking pads and also the inter-connect cable. The pads are 80 x 45mm, a little over 1mm thick, soft, flexible, and are “grabby” enough to bond to both surfaces of the source and amp you are stacking. The physical size is perfect – large enough to protect (from abrasion or scratching), but small enough to not be noticeable between the two devices. They are absolutely perfect for use with FiiO’s stacking kits for their own DAPs. The inter-connect cable is wonderful. I’ve wanted a short cable for some time, and was going to probably order the one JDS stocks – but the one included by FiiO is fantastic. At just 3.5mm in length (measured from centre of one jack to the other), it is just long enough to comfortably fit between two devices with no overhang. 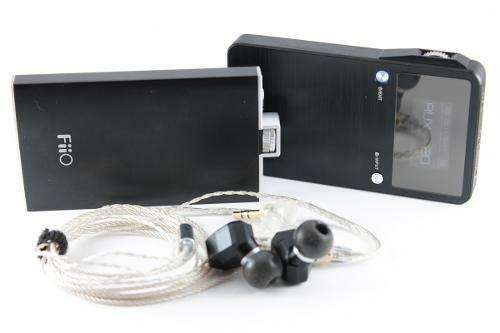 As with all FiiO accessories, it is simple, sturdily built, and has good connectors. This has helped make my portable rigs much lower profile, and is excellent for use with FiiO’s E17K also. 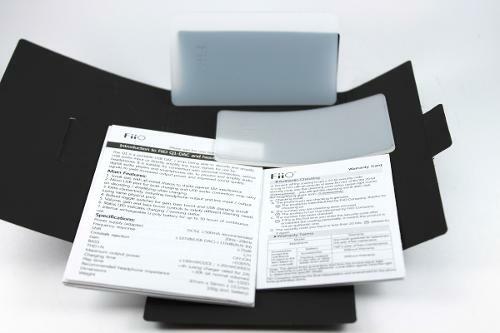 The entire package is very practical, covering everything you initially need for the Q1. The table below lists most of the relevant specifications for the Q1. As it is similar to the E17K, I have listed the specifications for this also. The Q1 is rectangular shaped with very slightly bevelled edges, and a slightly oval shaped mainly body – reminiscent of a very small hip-flask. The body consists of a top and bottom silver plate with a one piece matt black hollow aluminium body. Although there is no rounding of major corners, there is enough softening of the edges to avoid very sharp corners. 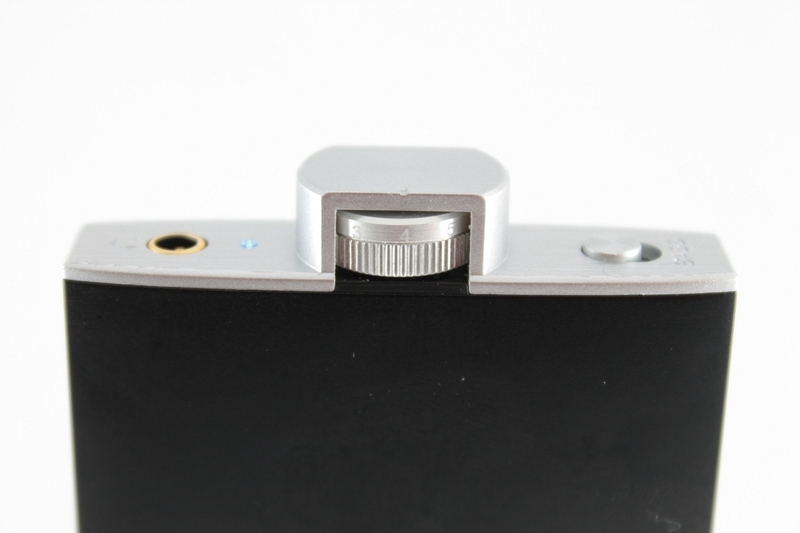 The size and shape is perfect for FiiO’s X1 and X3ii DAP’s – same W and L dimensions. My one reservation with the actual design of the Q1 is with stacking – the slight flask shape is not as practical as having a completely flat top/bottom. 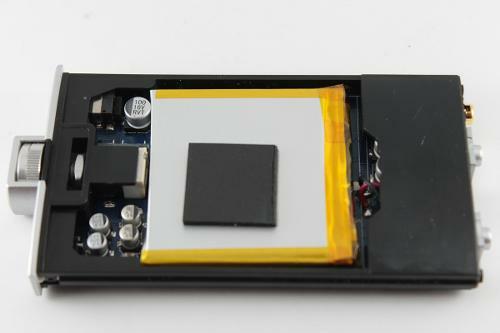 However with the silicone pad fitted this issue is largely negated, and there are no problems using with FiiO’s stacking kits. The slightly curved surface of the Q1 does feel nice when handled by itself. 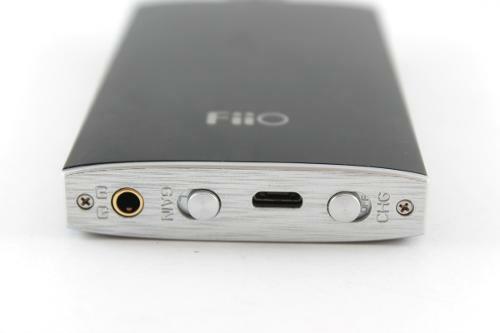 The front face of the main body simply has the word FiiO in the bottom centre. On the opposite side is the Q1, model number, short description and mandatory input and regulatory information. The top panel has a 3.5 mm headphone out socket on the left hand side, as LED light (operation / charging status), central TOCOS analog pot, and on the far right is the bass boost button. The LED glows an azure blue when in use, red when charging, red/blue when in use and charging, and green when on the charger (fully charged but not in use). The TOCOS pot has a very smooth action, and there is extremely low channel imbalance (0.2 dB or less), and my only issue is that the volume markings on the pot are virtually unreadable (white on silver). On the bottom panel is a 3.5mm input/output socket (left hand side). Next to this is the gain switch (hi/lo), and micro USB port for charging and digital access to the DAC. At the far right is a switch to turn USB charging on or off. I’ll go into these features later in the review. The switches are easy to operate, firm without being too hard to push or too loose, and again my critique would be that some form of black labelling might be easier to read rather than the descriptions etched into the silver of the end panel. Overall the external build quality is essentially faultless. It feels really good in the hand – solid and dependable, and has virtually no scratches after around 5 months of use. Using FiiO’s HS12 stacking kit, it is an ideal companion to FiiO’s X1 and X3ii. Internally, the Q1 uses TI’s PCM5102 DAC chip which has impressive S/N ratio and low distortion measurements, but more importantly is quite linear and neutral sonically (to me there is a very slight touch of warmth). Using the PCM5102 means that the DAC is limited to 24/96, but this is also a driverless solution and uses Windows generic drivers. So for ease of use, this is a good solution for the price point IMO. Coupled with this is Maxim’s MAX97220 amplifier, which according to the specs is a differential-input DirectDrive® line driver/headphone amplifier. 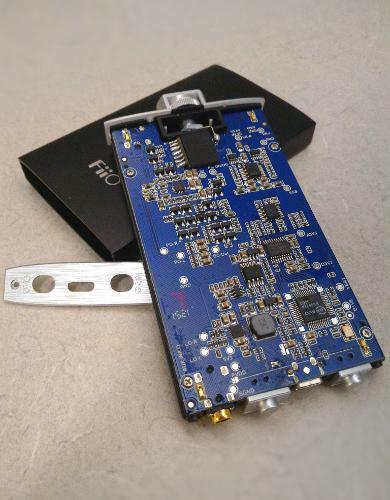 The Maxim chip is rated as 125 mW into 32 Ω with a 5 V supply, so its clear FiiO has been able to boost this to the specified 190 mW listed. So far I’ve noticed no heat build-up at all with the Q1. Even after hours (driving my HD600s), it’s still cool to touch. FiiO rates the target headphone impedance as 16-150 ohm, and I think that maybe a lot of people see this and automatically assume this little unit can’t drive a headphone like the HD600 (300 ohm properly). But FiiO in the past have been notoriously conservative with their published data (a good trait in my opinion), and the Q1 (like the E17K) has reasonable power output to drive even my HD600 reasonably well. FiiO lists the specs as 190 mW into 32 ohm and 75 mW into 150 ohm. This should put the output around 20 mW into the 300 ohm HD600. To put this into a real world test – using my iPhone 5S, digital out to the Q1, using low gain, and volume at max – I’m measuring mid to high 80 dB average readings with peaks in the early 90dB range. Add high gain, and that average is in the high 90’s and peaking over 100dB. This was taken with real music and a calibrated SPL meter. With very dynamic classical you may struggle a little more, but for me, the iPhone 5S + Q1 + HD600 nets me a really nice listening experience with most music at around 4/9 on the pot on low gain (mid 70db). On the reverse side, with sensitive IEMs (and this speaks to the versatility of the Q1), with the 14 ohm 113 dB SPL/mW Campfire Audio Orion, around 2/9 on the digital pot is ideal (again around mid 70dB), and there is room to go lower if desired. The Q1 is a very simple amplifier to use. Simply plug your source into the input socket, headphones into the headphone out, press play on the source, and adjust the volume on the Q1 to suit. 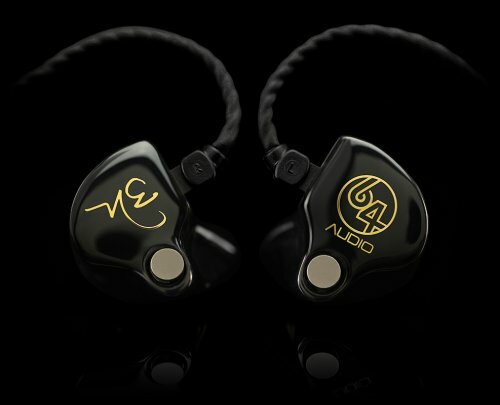 The Q1 has a very low output impedance (<0.2 ohm) so it should suit even the most sensitive earphones. A note on this while I’m thinking about it – I detected no hiss even with the very sensitive 2000J, but take this with a grain of salt, because I know that my tinnitus can mask very faint hiss, so I am less sensitive to it than others. For the record, my wife (who has super sensitive hearing) couldn’t pick up any hiss either. I mentioned the gain earlier, and FiiO has an interesting way of approaching gain with the Q1. On low gain, they’ve actually dropped the volume -7dB with high gain netting +4.5dB. This gives a stated swing between high and low gain of around 11.5 dB – which is what I measured when I was testing. I can only guess that this was to give more play on the pot with the implementation of the Max97220 amplifier chipset. The one thing I have to congratulate FiiO with is implementing a decent gain increase. Too often I have seen other amplifiers with quite small gain differentials – and this essentially nets no practical use. The other thing I’ve noticed with the Q1 via the headphone out is a decently black background from the headphone out in both high and low gain. I’ve noticed no increase in the noise floor using either of the gain settings and no real difference in sonic performance (volume matched direct comparisons). So use the gain which is best suited to the load you are driving. Interestingly, engaging the gain when using the DAC has different gain settings (-3.5 dB / +8 dB). Still the same 11.5 dB gain swing though. The Q1 comes with a more traditional bass boost. Engaging the switch nets a gradual EQ gain in the mid and sub bass. This gives just under +2dB at 200 Hz, +3 dB at 100 Hz, +4.5 dB at 50 Hz and close to + 6 dB at 20 Hz. I really like this implementation as it doesn’t make the overall signature too thick or overly dark, but does give some heft in an area which can be rolled off in some headphones (the sub-bass region). Interestingly – the bass boost (when engaged as a DAC and measured via line-out - see graph) starts at roughly 1 kHz, but has no change from 1 kHz to 20 kHz. From the headphone out (i.e. as amp only) actually increases the loudness of the entire signal by about +1dB. Not sure why this is – but interesting to note. The Q1 can also be used as a DAC for your PC, Linux box or MAC. The nice thing about this is that it is a driverless solution for all 3 OS platforms (well it needs drivers, but uses the generic inbuilt drivers in both Linux and iOS kernels, and the generic drivers within Windows also). On my Windows 10 box, resolution and bit rate are capped at 24/96 max. On plugging the Q1, all of the devices tested recognised it as a FiiO USB DAC Q1. I tried the Q1 with a YouTube video, and also with some basic gaming, and both times there was no latency or lag. Whilst I wouldn’t think of using the Q1 as part of my main system, as I have access to any number of DACs, and it simply does not have the resolution or power of my iDSD, I did try it with my netbook (now quite aged, but still going strong). The netbook, an ASUS 1015 PED EeePC has a very noisy Intel integrated sound card, and the Q1 makes a very noticeable difference – cleaning up the erroneous noise, and also adding a (subjective) depth of layering to the sound which I find excellent. I’ve also used it at work on my generic work PC, and had a similar experience. 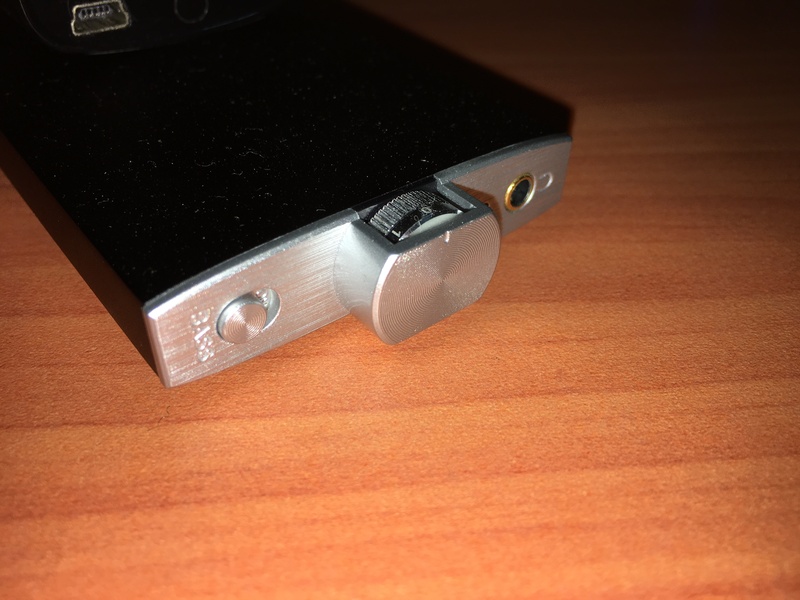 Whilst the DAC on the Q1 is never going to be a world beater – for the mere cost of $70 it is absolutely excellent as either a starter DAC/amp for a PC/laptop, or simply for a portable solution when you are on the road. So where has the Q1 made the biggest difference for me? Although I didn’t expect it, the biggest difference has been using the Q1 with my iPhone 5S – actually using the DAC and amp on the Q1, and effectively using the iPhone as merely a transport. And it is the implementation of being able to turn USB charge off that has made all of this possible. By engaging this switch, when plugging the Q1 to the iPhone 5S (using either CCK or equivalent cable), the Q1 is no longer using any battery power via the USB, and all it is doing is pulling the digital signal. This then stops the iPhone from complaining about power – and allows the digital transfer to take place. So Brooko – I’ve read before that you regard the iPhone 5S as being a great sounding device – what has changed? I’m glad you asked. Nothing has changed really – the iPhone 5S still sounds great – very linear, very flat. But adding the Q1 (again subjective) brings a slight touch of warmth, and again a depth of layering into the presentation of the music which I’ve found very enjoyable. So – why don’t you just use lineout or headphone out to the Q1’s line-in then? Well here’s the thing. I’ve tried both, and volume matched over a period of an hour – I compared iPhone by itself, vs iPhone headphone out to Q1 and finally iPhone digital out to the Q1 – and time after time I was getting more enjoyment from the iP5S > Q1 with the Q1 doing the work as both DAC and amp. In fact – if the iPhone was a decent size (say 128 Gb), and I didn’t mind the stack, I could be very happy with this set-up as my main portable. Yep – it really is that good. But sadly – the iPhone is only 16 Gb (it’s a work phone) – and I have a lot of other dedicated DAPs – but I’ve been surprised how often I’ve continued to use the iPhone and Q1. So which cable am I using? Well for start off – I’ve been using the CCK and suitable adaptor cable. It’s unwieldy but works without a hitch. I next had Head-Fier Vidal send me one of his home made cables – and while this is the perfect size, and “often works” – it is a little more temperamental than Apple’s CCK set-up, and occasionally will refuse to work (at least until I restart the music app, or phone). I suspect it may be the lightning connector. If you’re interested in trying it though – I’d suggest dropping him a PM – as the cable does work and all he’ll wants is to cover materials and his time. Lately I’ve been using another cable which is flawless – but I’m testing it for someone else, and until they give me the OK I have to stay quiet on it. It’s now my go-to though. Lastly – I haven’t tried the Q1 with Android – you’ll find other reviews that have though, and they can fill you in with their successes. This is the one area of the Q1 I’m a little less enthused about – and I really don’t know why. With the Q1 as DAC, I’m perfectly happy with the headphone-out, and this is repeated with using the line-in from my X3ii (again using the Q1 headphone out). But using the Q1 as DAC and then line-out to another amp (tested with the iDSD) I’m simply less enamoured with the output. It’s also interesting to note that when I tried testing this to measure distortion, THD and THD+N both increased. I haven’t shown the graphs for this one, as it could be my equipment. But for me anyway, I have personal question marks about the line-out performance. This could simply be placebo on my part, but I have noted it and would appreciate if anyone finds similar. In the graphs I used above you can see that as a pure amp, the headphone out is extremely linear – basically measuring flat on my equipment from 20 Hz to 20 kHz. To perform these checks I used a calibrated sound card (calibrated to measure completely flat), ARTA and a loopback. So for all intents and purposes the Q1 is providing “wire with gain” – a very neutral amplification not adding or taking away anything. When we move to the DAC, and again measuring from the headphone out, the first thing to notice is a very slight roll off in the upper treble. But the roll-off is minute and the reality is we won’t hear it (even slightly). When I measured THD and THD+N (distortion readings) they were below the realms of audibility, and although higher than FiiO’s readings, I did suspect that I was measuring the limits of my sound card rather than the Q1. I thought at this stage it would be a good idea to try and compare the Q1 with some alternatives. My prerequisite was that the comparable units should all be portable DAC/amp devices – so I’ve used the ones I have at my disposal – FiiO K1 (USD 40), FiiO Q1 (USD 70) vs FiiO E17K (USD 139) vs IMS Hybrid Valve (USD 270). For testing I’ve used either my iPhone 5S or PC, headphone out of the device in question, and my AKG K553 Pro to evaluate. I also tested with the Campfire Audio Orion and VE Zen1 - but for the comparisons below the tests were actually performed with the AKG. All devices were volume matched with my SPL meter at 1 kHz with a constant test tone. The two devices are really chalk and cheese. The K1 is 1/10th of the weight, 1/5th of the size and ½ of the price of the Q1, but really speaking it is the features which are the major difference here. 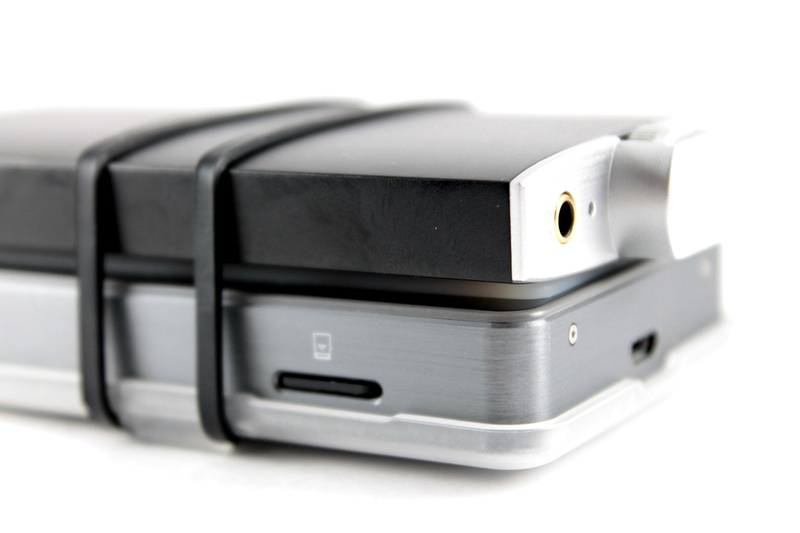 Both are native/driverless DAC solutions – so ideal for laptop use. Both have a max resolution of 24/96. But the Q1 has 2-3 times the power output (depending on load), a volume pot (very important for me), a gain switch, and the ability to switch off USB charging during playback. The last feature means that the Q1 can be used with my iPhone 5S – the K1 can’t (it uses too much power) – which is a real pity. 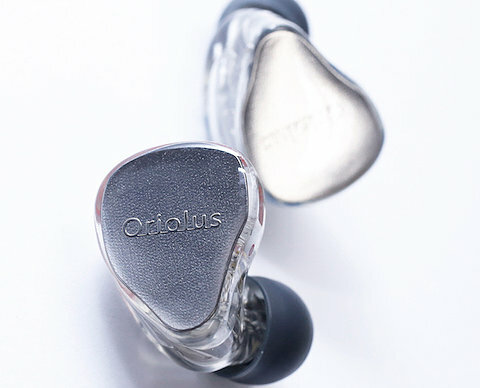 Sonically (tested with the PC), the Q1 sounds very slightly warmer than the K1 – but both have very good clarity. The K1 actually sounds (subjectively) slightly more holographic. For my own particular needs – it is no competition. While the K1 is a great sounding budget option – it simply does not have the features. For this test I was able to use my iPhone or PC – and both work faultlessly. Size and weight are very similar with the E17K being marginally larger and heavier. Both are native/driverless solutions. The Q1 has max resolution of 24/96 while the E17K is 32/96. Power output is practically identical, gain settings (E17K has 3 vs Q1’s 2), hardware EQ (E17K has full tone controls vs Q1’s bass boost), and both have ability to turn of USB charging – so they will work with the iPhone 5S. Both have volume controls. E17K has the ability to take a coax input. E7K battery life is rated at approximately 15 hours or half of the Q1’s 30 hours. Sonically the two are very close, with again the Q1 being perhaps ever so slightly warmer than the E17K (which to me is very neutral). Again (subjectively) there is a feeling of a slightly more spacious or holographic feel – but this time with the Q1. This is extremely slight though, and I really don’t know if I could pick it up consistently if blind tested. On the question of my personal preferences – paired with the iPhone it is close, but ultimately the E17K wins for me with its added features – and especially for the tone controls (check my E17K review for better idea of how good these are). For others – it will depend on the feature set vs your budget. Both are excellent – it simply depends where your priorities lie. 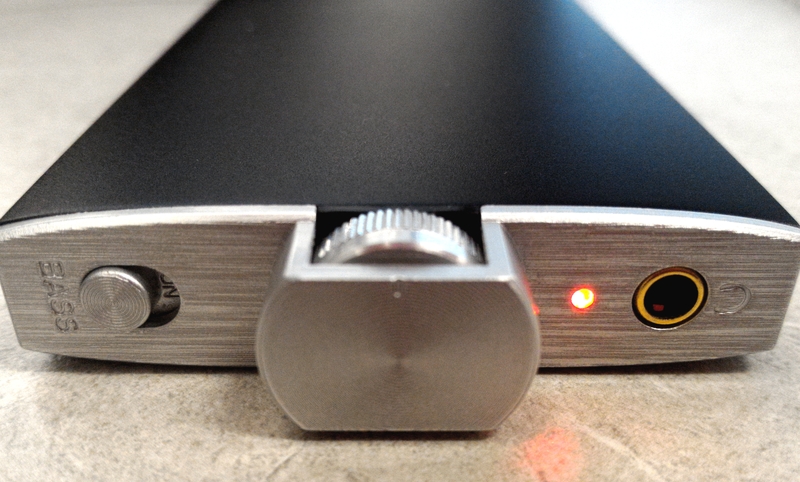 One final note – the E17K can dock with the K5 desktop amp, the Q1 cannot. This is a bit of a mismatch – in price and somewhat in features, but worth looking at nevertheless. Both are similar in physical size – with the IMS-HVA being slightly thicker, but also considerably heavier at 150g vs 100g. Both are driverless when used with my iPhone 5S – but I have to note here that the only reason I am able to use the IMS-HVA with my iPhone 5S is due to the “special cable” I’m testing – even with the CCK, it won’t work. With the PC, the IMS-HVA will go to a maximum resolution of 32/384 (vs Q1’s 24/96) but requires installation of the Bravo HD drivers. The Q1 outperforms the IMS-HVA by 3:1 in battery life, and also has hardware EQ (bass-boost), whereas the IMS-HVA has none. The IMS-HVA also has an unfortunate issue with input signal – if it is too high it will overdrive the valves, and cause distortion. Because of this, if using the iPhone, PC, or other source with full line-out, I have to drop the line-out volume of the source to around 75% (depending on the signal). All my FiiO DAPs have the ability – so it is not a huge issue, but it does make comparison of output power difficult. The IMS-HVA will “just” drive my HD600s to my preferred volume (I am a low volume listener ~ low to mid 70dB) – but ultimately the Q1 has better control of total output power, and has more usable output power (the output gain on the IMS-HVA is very similar though). Sonically – because of the tubes – the IMS-HVA is warmer, but also seems to be able to resolve better and has more overall depth sonically. If I was personally judging purely on sonic ability (and it would depend on headphone pairing), I would probably pick the IMS-HVA despite its limitations and price difference (the sonic footprint is wonderful – somehow both smooth and resolving). However as soon as price, power, and full feature set comes into play, it would be extremely difficult to go past the Q1 – especially if you are on a tighter budget. Prepare to be amazed. 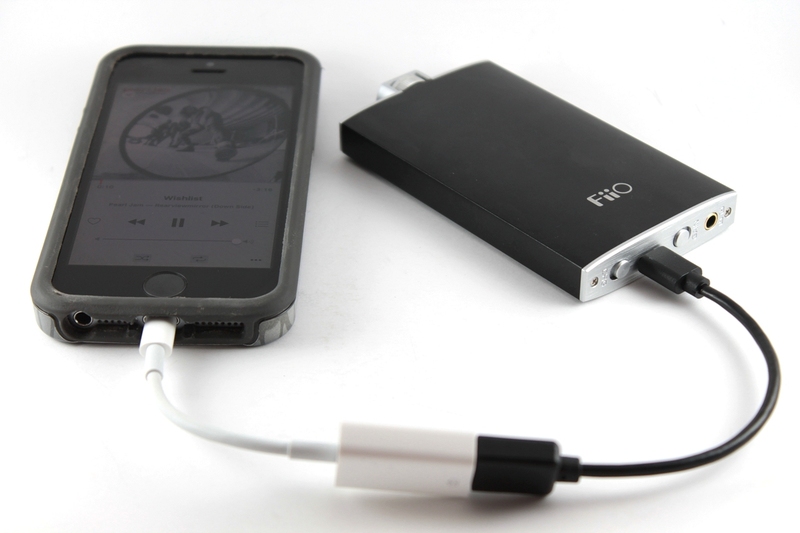 FiiO rates the play time on a full charge at better than 30 hours and recharge at around 3½-4 hours. For my use I’d suggest that time is pretty accurate. It’s hard to monitor when you have a device with this much battery life, and I’d set-up to measure more than a few times, only to have the battery on the DAP die, or forget to check the device at around the 29-31 hour mark. What I can tell you is that the one time I had the K553 Pros running (paired to E17K running off mains) and managed to measure non-stop (from the Q1 having a full battery), I know it passed the 30 hour mark, and died sometime before the 30hr 44 min mark. Recharge back to full (mains power) was 10-15 minutes short of 4 hours. And like the E17K, the other feature I haven’t mentioned is the effect on battery life with the X3ii when using the Q1 with it. Normally I’ll get around 10-11 hours with the X3ii by itself. Introducing the Q1 extends that to around 15 hours – just simply by taking the load off the X3ii’s amplifier. 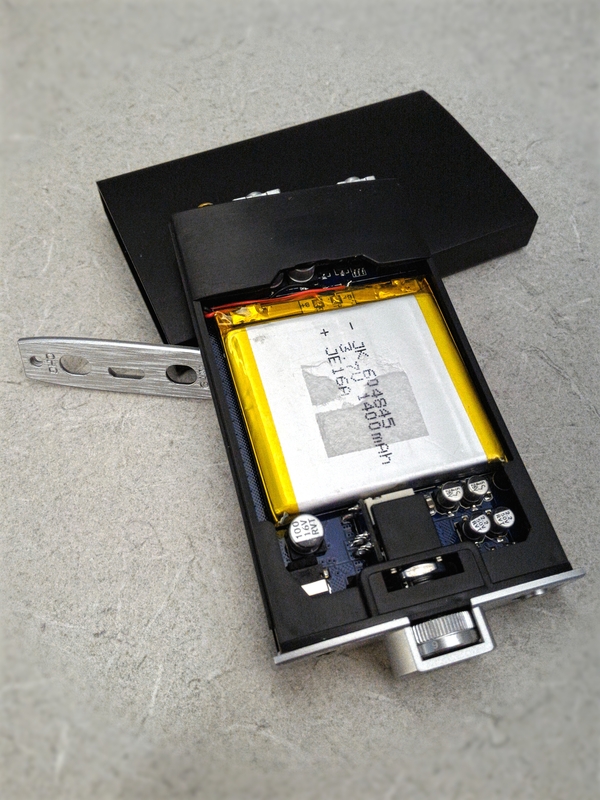 While I still use the X3ii mainly with the E17K, for anyone with any of the FiiO DAPs – but especially X1 or X3ii, the Q1 makes a great battery extender. 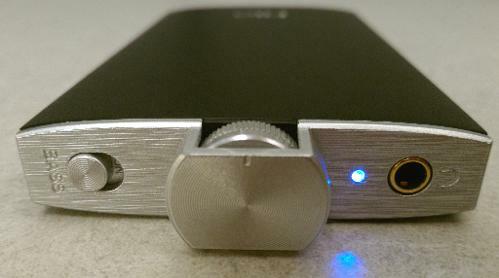 So how do we sum up the Q1, and did it meet my expectations of what constitutes a good portable DAC/amp? The Q1 brings to the table a light-weight medium sized portable footprint which should pair well with most DAPs or smartphones (check other reviews for compatibility with Android devices). It has a very sturdy build, and quality accessories which are suitable to the device and its intended use. In particular I really like the included silicone pads (for stacking) and the short inter-connect cable. Battery life (30 hours) is exceptional, and output power is ideal for most IEMs or portable headphones, and depending on the source (and your listening level), is also capable of handling headphones up to 300 ohms (my HD600 and Zen/Zen2 earbuds both were well driven by the Q1). The features are excellent for the price point – and include a well implemented bass boost, very good gain differential, and the ability to turn off USB charging while connected via USB – which made pairing with my iPhone 5S possible. Separate DAC drivers are not required with the Q1 which makes it an ideal pack-and-go solution for most portable devices, and although output is limited to 24/96 – for playback this is more than enough for most of us. Sonically the Q1 has a quite neutral signature with a slight touch of warmth (it definitely isn’t sterile or flat sounding), and the very low output impedance makes headphone matching very easy. 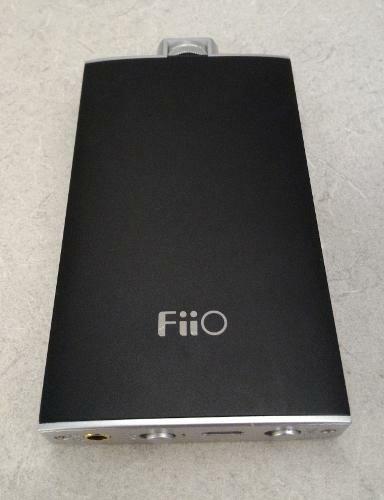 At the $70 price point, if you’re after an entry level DAC/amp, or simply a portable only device, the FiiO Q1 represents excellent value for money in my opinion, and it has my recommendation. 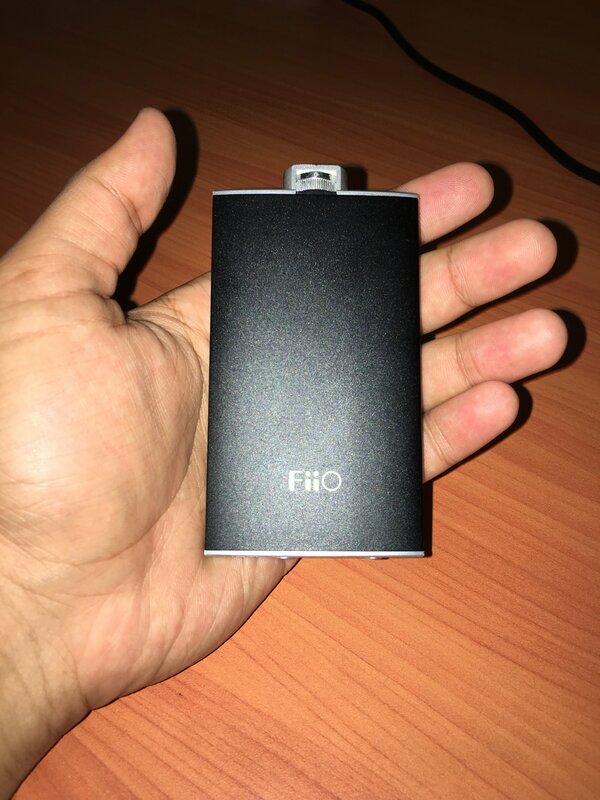 My thanks to FiiO for arranging the sample unit so that I could evaluate it. allaboutm, peter123, twister6 and 4 others like this. I like what you said about the K1, I picked up one of those little nuggets to use with my laptop and its brilliant. Was wondering if it was worth upgrading to the Q1 and its not because I don't need a portable (with a battery) solution. So the K1 is perfect for me, at least for now. Although I am looking to upgrade to the AQ Dragonfly in the future. It really depends on your uses. The K1 is a great little DAC but because it has to be powered by the source - it hasn't tended to work with my iPhone. If you wnat a jack of all trades, and the volume pot is a definite must have accessory - then the Q1 is definitely worth it IMO. 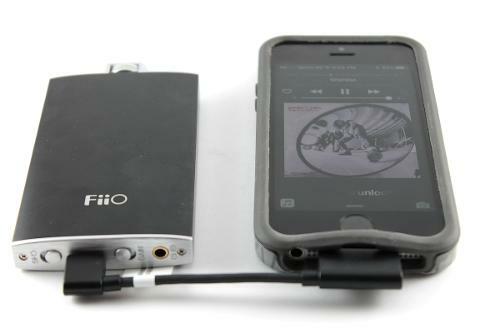 The Fiio Q1 is an entry level amp/dac, currently the cheapest in Fiio`s portable DAC lineup. It retails for $60 USD or $100 AUD and offers an affordable gateway into the world of high-fi sound. 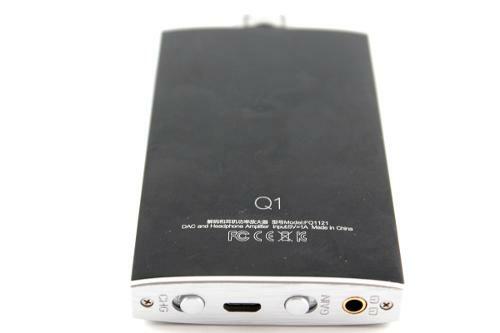 The Q1 has a 1400mah inbuilt rechargeable battery, a PCM5102 DAC and MAX97220 AMP chip, promising up to 30hrs of battery life and linear audio output with <0.3 ohm output impedance. The unit features low and high gain functionality, an analogue volume pot and non-adjustable bass boost. Of note you can use the Q1 whilst charging although for the sake of battery longevity, this is not recommended. The Q1 is aimed for beginners, so I`ll talk a bit about why you should purchase a dedicated DAC at all. At first, I didn`t believe in the need for a discrete DAC, I was perfectly happy using my phone and iPod along with a JDS Labs Cmoyy BB Amp. Many sources on the internet stated how high end android phones/iPhones have good enough DAC`s that it all sounds the same. This was not helped by the fact that most portable DAC`s cost upwards of $250 AUD and I was always under the assumption that money was better spent on more competent earphones or headphones, after all how much difference could the source make? 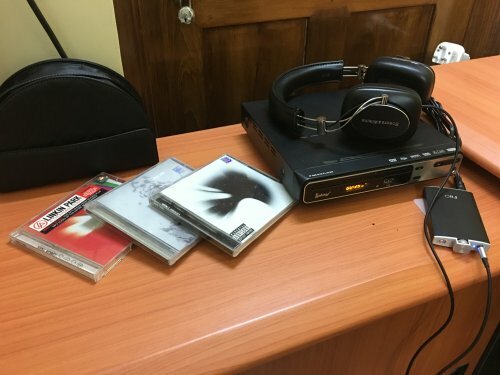 So when the Q1 was released with the same DAC as the e17k at less than $100 AUD, I was intrigued and found time to visit Minidisc for an audition. Wow, What a difference! When I first started using an amp, it made a small difference, but mainly it got rid of the source discrepancy with output impedance and hiss, but the Q1 made a real impact on the sound quality. Listening from my ie800`s, mids were cleaner, details were more apparent and the sound was more extended, sub-bass response was much improved. The dynamic range was far greater than my laptop and smartphone which made well mastered songs a treat to listen to. In addition you still interface through the ui of your favourite device but get to reap the benefits of a dedicated DAC/AMP, much better than a dedicated DAP in my opinion. Just like designing speakers, where the subsystems can have a larger impact on the sound than the drivers themselves, using quality components is irrelevant if they aren`t properly implemented. 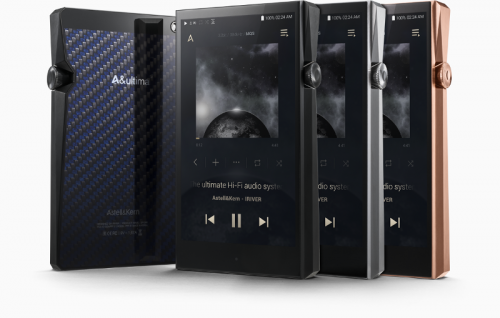 Phones are getting a lot better, every iteration sounds a little closer to dedicated equipment and many manufacturers such as Samsung, Lg and Apple even employ DACs from Wolfson, Saber and Cirrus to provide better audio experiences. 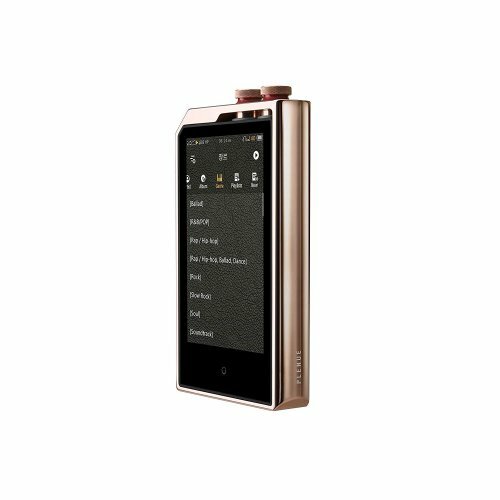 However smartphone audio is a niche market, 99% of buyer won`t even appreciate the difference and with the new fixation on slimness and design, quality audio sections are becoming harder and harder to implement. A dedicated DAC will always sound better simply because there is a lot more space to house what is essentially the same circuit. The components will be better isolated, the manufacturer doesn`t have to worry about power constraints and they are willing to dedicate all their resources to quality audio components because they are providing an audio product. With that in mind, it makes sense that a dedicated DAC will sound better, it`s not debatable like cable upgrades, it`s as scientific as it gets. The Q1 comes in a small box with two silicone mounting films, a short interconnect cable and a micro usb cable. 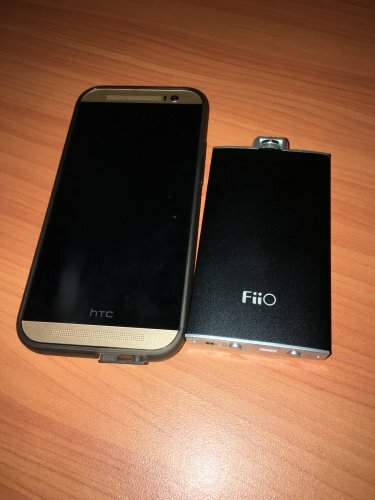 Fiio does not provide an OTG cable as the Q1 does not officially support this feature, however it has worked flawlessly with every phone I`ve tested, (Samsung Galaxy S4, S6 Edge, HTC One X, M8 and M7). If you get no audio, change the volume on the phone one notch and the phone will use USB audio pass-through. It`s a minimalist package, but Fiio didn`t even have to include cables for the price, not to mention, the box is much nicer than other Chinese equivalents and the manuals avoid the usual Chinglish. Although this term has been coined in so many other reviews, the Q1 can only be described as a flask. In fact on numerous occasions people have mistaken mine for one and tried to open it up. Although the Fiio Q1 is small (97mm x 56mm x 13.1mm) and relatively light weight (100g), it still manages to impress with a quality look and feel in the hand. 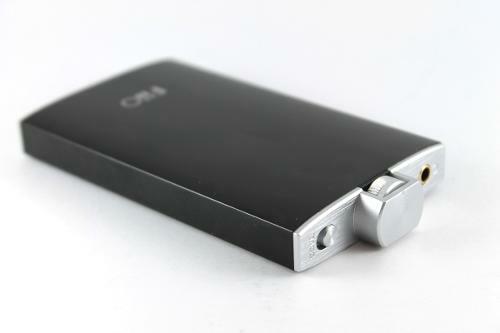 The unit comes in one colour, satin black with brushed silver ends, the Fiio logo laser etched into the anodized casing. Over the last few months of varied usage, the housing still looks like new. It is fully constructed from aluminium and is well finished and ergonomic in the hand, unfortunately it`s not the most stable design and marrying it up with the curved back of my HTC M8 is a nightmare. I have partially alleviated this issue by using two flat rubber bands on either end that provides a bit more grip to the unit. Apart from that, everything is intuitive and well set out, the volume is not inclined to change in your pocket, though it is still possible to accidentally bump the knob. The volume knob is very smooth with a good amount of resistance, though the letters are hard to see and there is channel imbalance below 1 volume. The switches are easy to change with a tactile concentric circle texturing. 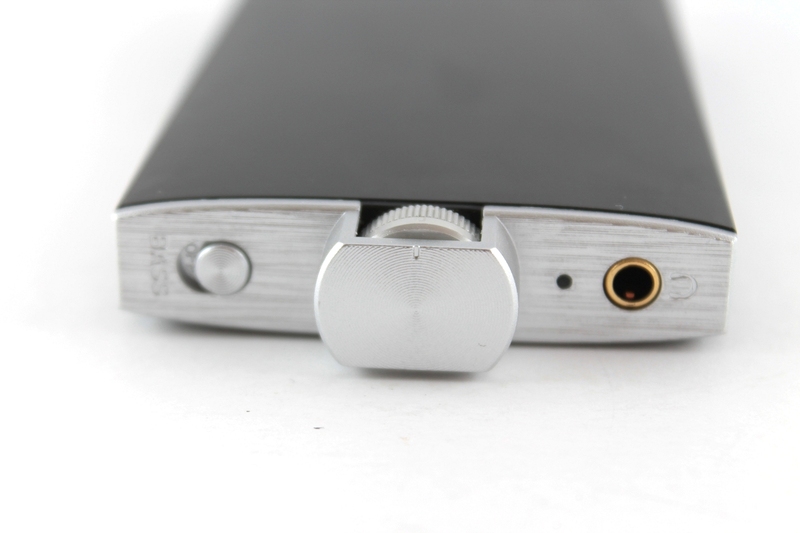 The front of the Q1 houses the 3.5mm output, the volume knob and the bass boost switch whilst the back has the line-in/line-out port (becomes line-out when using DAC functionality so you can bypass the internal amp if you choose), micro usb for connection and charging, gain switch and charge switch (for OTG). There is a status LED on the front that glows blue when the device is active, flashes purple (red and blue leds both lit) on low battery and red when the device is charging. The battery life is fantastic on the Q1, Fiio claims over 30hrs of use and I frequently beat this claim on low gain, on high gain, batterylife is still great, around 20-25hrs of use depending on volume. Of note, the 3.5mm ports are all gold plated which is a nice touch, there is no crackling when the plug is twisted in the socket. One great aspect of this amp is that there is no pop when you plug/unplug the amp or plug/unplug your headphones, and no pop when the amp is turned on or off, it`s brilliant and very well designed. It`s a nice and portable package that feels well thought out, I would be happy if a $250 amp had build quality to match, it`s hard to believe that it costs less than a quarter of that. 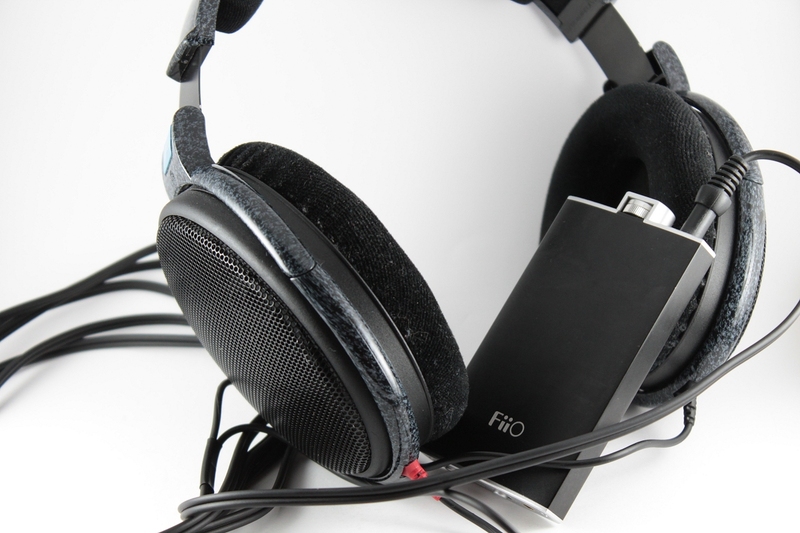 Tonally the Q1 in DAC/AMP mode stays faithful to the Fiio house sound in that it`s slightly warm but mostly neutral. Bass is full and extended, maybe very slightly north of neutral, mids are clean and uncoloured, treble is detailed and clean. The amp section is good, not great, it`s not as clean as my Cmoy but I prefer the portability over the improvement in SQ when using the Q1 purely as a DAC, line-out to the Cmoy. It doesn`t have the sheer volume of a high end amp but there is absolutely no hiss, so in that sense, the Q1 is best suited to portable headphones and earphones and will drive any of them just fine. The Q1 has a well sized soundstage, but it`s not great, the Cmoy again produces a larger soundscape, so the amp section is probably letting the Q1 down. Clarity is good on account of the clean mid presentation and using the Q1 I notice more treble intricacies than any other non-dedicated source I have. Bass is quick over weighty and resolves a lot of rumble and low down detail. The sound is layered and vocal effects can be easily discriminated. Dynamics are great but I feel it can be better. On a whole, the experience is much better than just using my Cmoy BB, the Cmoy may be slightly better as an amp but the DAC functionality makes a larger difference to sound quality and the inbuilt amp is good enough. 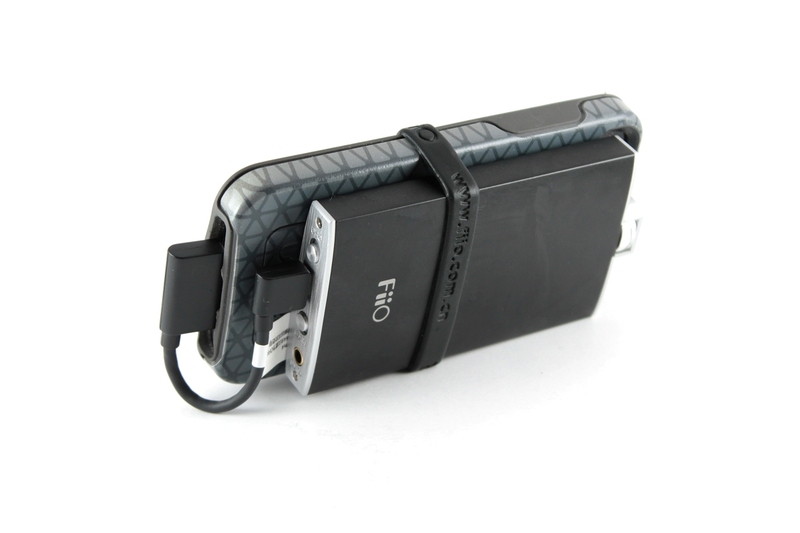 Accessories – 8/10, Comes with everything to get you started, could come with an OTG cable, but they are easily come by. Design – 9.5/10, The build is flawless, volume knob could be tweaked a little to prevent accidental changes. Sound Quality – 7.5/10 (10/10 for the price), Well integrated DAC, weaker amp section but good for portable use, plenty of volume in high gain and black noise floor is optimal for at home use too. Big improvement over stock DAC and pure amp. Value – 10/10, The Q1 performs as well as Fiio`s old flagship gear, in fact it sounds very similar to the e17k (auditioned not owned), It costs as much as a DIY Cmoy kit but also includes a DAC and a quality streamlined housing. Verdict – 10/10, I doubt any DAC/AMP offering at this price will provide nearly as complete a experience. 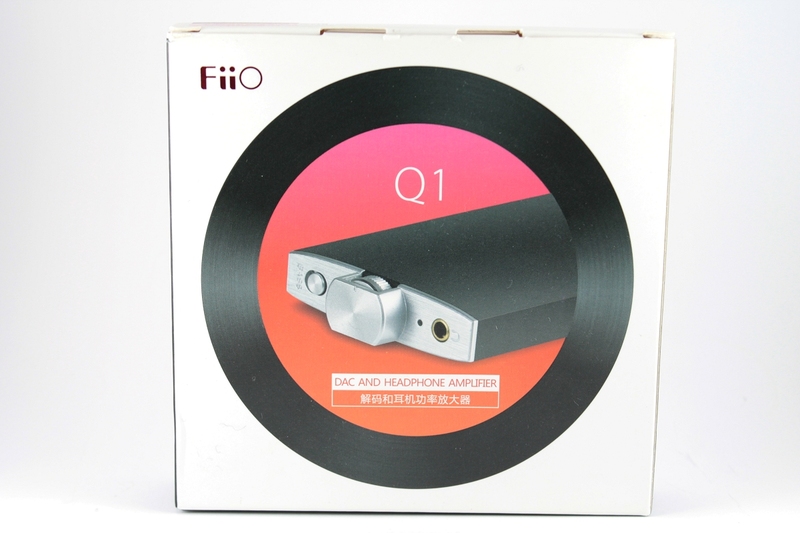 The Q1 is a well rounded and mature offering from Fiio, I look forwards to testing some of their higher range products such as the e17k and e18. This review was copied from my blog down below, please take a look for other reviews and guides, thanks for reading. 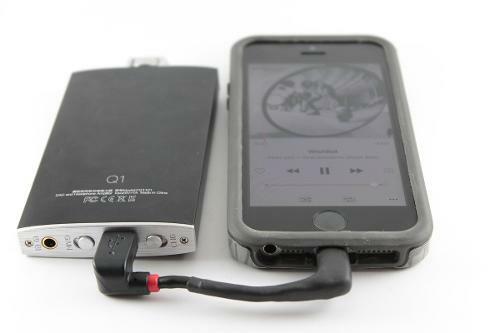 Excellent Portable Amplifier - fits right in your pocket! Incredible little piece of equipment and quite a step up from the FiiO E6. When I opened the package I was surprised by its build quality and size. It is smaller than I thought it would be and much more realistic in terms of weight than I imagined. 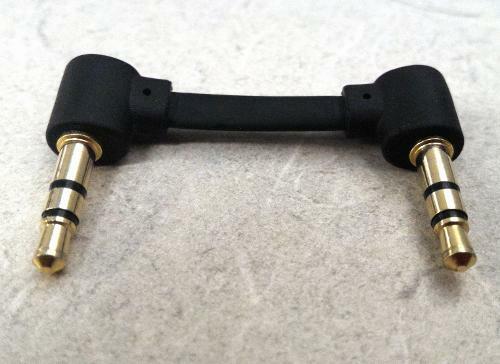 This little guy really opens up any headphone you throw at it. I'm using it with my Audio-Technica ATH-M50s right now and occasionally use it with my Grados. Would highly recommend this to anyone looking for a reasonably priced, portable amp/dac. 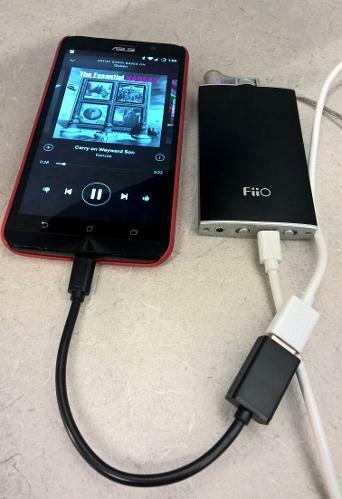 Fiio Q1: FiiO Delivers again! As someone who would still consider themselves as a newcomer into the world of Hi-fi equipment, It can be tough to determine what is needed, and what is not. If you are not careful, you can spend lots of money on redundant or useless equipment for your setup. For me, I felt that I wanted a portable amp for my setup. I was getting mixed answers on whether this would be a worthy purchase. 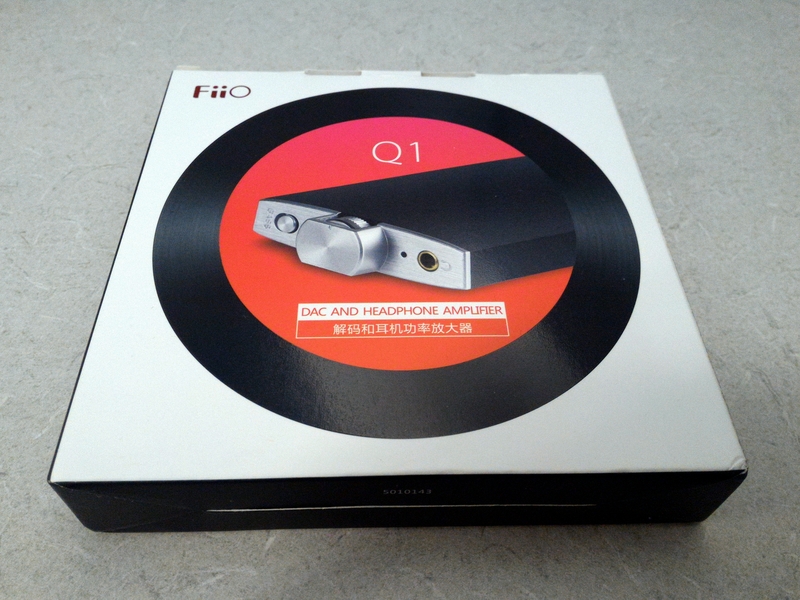 Then came the FiiO Q1. 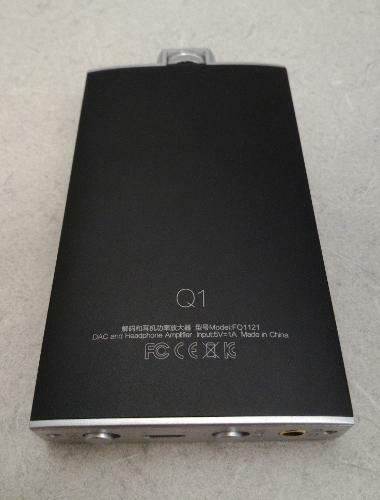 The Q1 was the perfect answer as it is a portable USB DAC/AMP with line in/out features as well meaning it was very flexible in its uses and could fill many voids in my gear. Not to mention the incredibly low cost. 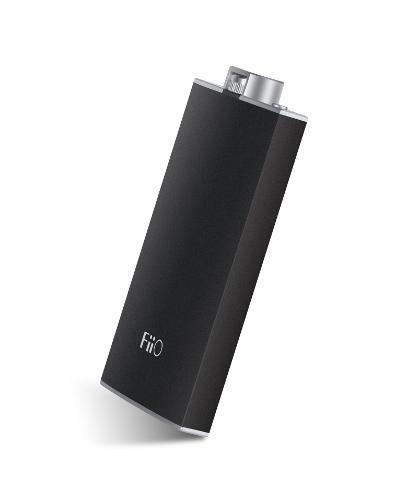 At the time of purchase, I had only had experience with one other FiiO product, my X1. And if I learned anything from the X1, it is possible to deliver high performance and high build quality for a low cost. Because of this I decided to make the purchase. What resulted in this purchase is what I will talk about below. Is the FiiO Q1 a worthy investment? Let’s find out. I am a 26 year old music enthusiast, audiophile, music lover, whatever your terminology is for us with empty wallets and great tunes! In my obnoxious youth I could never understand why someone would drop the cash for headphones like ours. Over time I learned the differences in not just equipment, but in source files. Suddenly I found myself spending some money on good gear, and over time it has developed into something more. Not only did I find myself enjoying my music more, but I found communities that share in my hobby. I have a very extensive and eclectic musical library. I tend to avoid rap and heavy sided metal music. Otherwise, I am game. Most of my music comes from Folk, Rock (all kinds), Alternative, Singer/songwriter, and Acapella. I would say that I am a balanced listener, with perhaps a bit of a bass-head tendency. My library is comprised of mostly legally obtained Redbook 16/44.1 with a few vinyl rips done for me by a friend. My DAP experience has been all across the spectrum, but has recently began the hi-fi journey. Starting with my original RCA RD2204 Lyra (the old days) and continuing to SanDisk Sansa’s, clips, Ipods, Iphones, Android phones (such as HTC one M8) and Windows Phones (Lumia 1520, 1020). Recently I have begun collecting my newer gear starting with my first Hi res dap as the X1/Q1, as well as testing the Sony A17. My headphone use is primarily IEM with a few cans. My primary gear currently is my Shure SE-425’s and my Hifiman HE-400’s. I use my FiiO X1 with the Q1 DAC stacked as my daily driver currently. But enough about me! 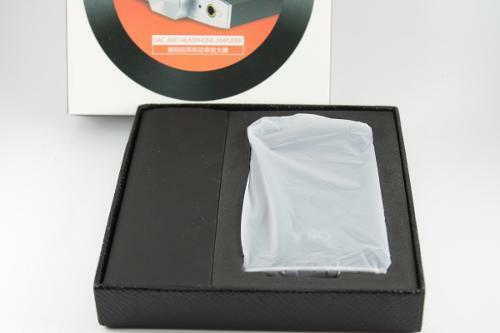 If you’ve purchased a FiiO product before, you may recognize the packaging as being very similar to that of your other device. For example, the box is nearly identical to that of the FiiO X1. 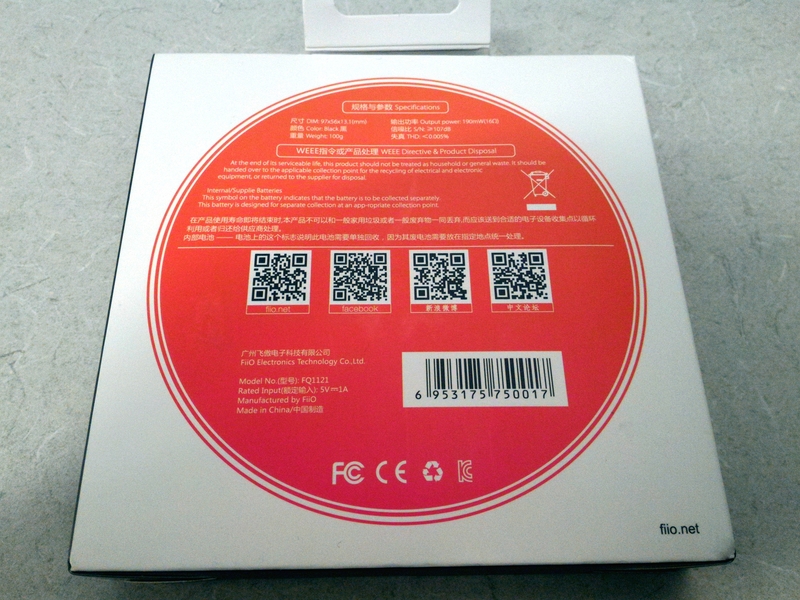 The box is enough to protect the device and included accessories, not much more. I would assume that this is what allows FiiO to pass on the savings to us! 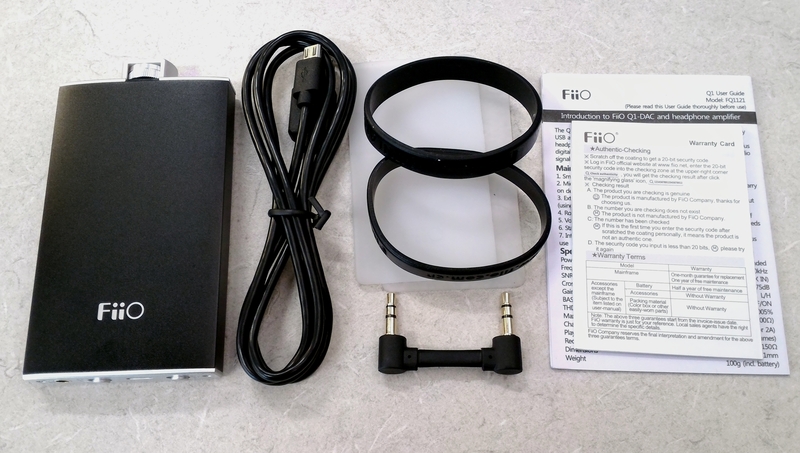 These accessories are part of something I have come to enjoy from FiiO’s packaging, as most of their products come with these extras already included. The only thing I was missing from the kit was the X1/X3 stacking kit, which cannot be blamed as not everyone uses this kit. The Q1 has a very flask like design. The weight is by no means heavy, but instead simply feels like a solid product. 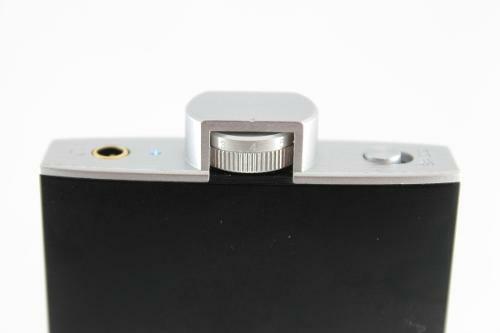 The main section of the casing is black coated metal, With a metal potentiometer knob on the top. The end caps are actually made of a plastic that has been textured to look like an aluminum or metal housing. On the top you will find your headphone out port, LED indicator, Volume knob, and Bass boost switch. On the bottom, you will find your Line in (3.5mm) port, Gain switch, USB port (line in/charge) and the charge on/off switch. Overall the build is very simplistic and feels very high quality. After months of use I have yet to even scratch the casing, meaning that it is a very solid device. My only complaints really come from the abilities to see a switch status easily, as well as the volume knob, which is hard to tell which side to read to determine/change volume. The battery life on the Q1 is so good its nearly jaw dropping. When I saw the 30 hour battery life on the product specs, I was skeptical to say the least. Surely this was using the device in the most minimal of setups. Which is just not the case. Over my time I have changed between Hi gain, Lo gain, Bass boost on and off. And even listening at a loud volume with high gain and bass boost I was able to get nearly 24 hours on the device. Using this with my X1 has also improved the life of the X1 as well, meaning I get more playtime between charges on my source! Well done FiiO, Well done! So the real question is, could I actually hear the difference. The answer is absolutely yes. As my current daily driver I have put the device through its paces. It has been connected in all manner of ways to multiple sources, with all sorts of different headphones. Overall speaking, the Q1 has a rather neutral sound that lends itself to a warmer sound. Somewhere between the two really. The sound is clear and clean. Instrumentation is well separated and despite the warmer sound signature, it still provides a nice, small bit of sparkle on top. The highs can feel a bit extended, but never so much that it detracts from the track. One thing that many other owners and users have noted is that the Bass boost does not add much more additional “bump”. Admittedly, I was even one of these people. After spending time with different configurations I have found that the Bass boost focuses more on adding quality to the Bass, rather than the quantity. On my FiiO X1 it fills out the low end that I feel the X1 was lacking. Mids also benefit from the added Bass. By no means does the Bass boost make your headphones thump your head, which I am actually okay with. I find that with the level of bass and the quality is really a good match for most genres of music, making this a very easy purchase for the first time purchaser like myself. One thing I did note was that when turning on the Q1, from 0-0.8 on the analog knob there is no audio, then the right ear kicked in only, and the left ear did not kick in until about 1.0-1.2 on the knob. Once here, the sound was very balanced left/right. This likely has to do with the potentiometer, and most people will not run into this unless pairing an easy to drive set of cans on high gain (Where this was most noticeable). Speaking of gain controls, Low gain has been enough to reasonably drive all manner of headphones I have yet to test. Even my Hifiman HE-400 will be happily driven on low. Although, they sound the best with bass boost off and high gain on. Being as versatile as it is, the Q1 has many different connections that can be used, I wanted to give a brief overview on how each option works, and how it changes. The most commonly used option for me was the standard 3.5mm line in option, as this is what allowed me to stack my X1 together and make a nice portable rig. 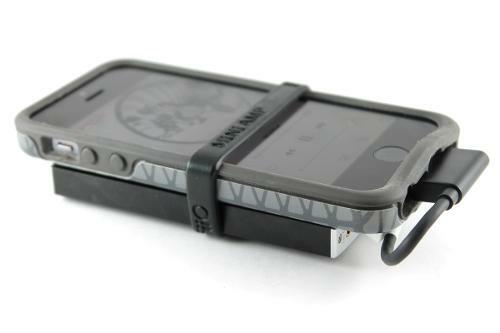 The line out option also has the added benefit of making the product compatible with nearly any device. This does skip the DAC (for obvious reasons), meaning that you will not be getting the most out of your new Q1, To do that you’ll really need to try one of the other connection options, such as..
USB line in! This will allow you to connect the device to a computer and have the device function as a DAC/AMP straight from your computer. I tested compatibility with both Windows and Mac, of which neither had any issues. In fact, the plug and play ease of it all made it a joy to use. Simply plugging it in and turning the device on changed the audio output on my computer to the Q1. This allowed me to drive things like my Hifiman HE-400’s or a fellow head-fiers Mad Dog Alphas properly from my laptop, something that normally shows dull and lifeless through the standard HO port. I did have some troubles getting Foobar to recognize the FiiO as the desired audio out, but I suspect this was Foobar’s issue, rather than FiiO. 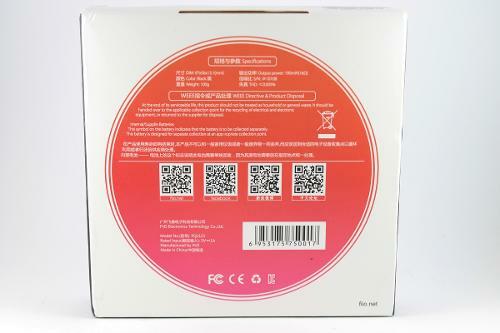 The USB Charge switch will also allow you to turn the charging off/on as desired, which will help when conserving laptop battery or cell phone battery when using in our final connection type. Finally, there is a handy feature, although not officially supported by FiiO. This is the USB OTG compatibility. This allows you to use a USB OTG cable (such as the one shown in the pictures below *Sold Separately*) to utilize the DAC and amp through your compatible smartphone. I was able to test this with android phones as well as Windows phones without issue (Please note that for Windows phone you must be using a new Windows 10 mobile phone such as the Lumia 950 or 950XL, as the new software AND hardware is required. Compatibility with Android will vary depending on your phone). **UPDATE** @holden4th was nice enough to inform me that he was also able to successfully use OTG with his Iphone 6s and Ipad air. This will obviously require a slightly different version of the OTG cable (Lightning cable to OTG). However it seems to work without issue! Some people seem upset the OTG cable was not included. However, it makes sense seeing as the feature is not officially supported. On android phones you may have issues using OTG with apps such as Tidal or Spotify, but options like Hiby and Onkyo work without issue. On my rooted Zenfone 2 I was able to make all sound process through USB out, meaning all apps functioned great through the Q1. This offered a vast improvement on the Zenfone 2 headphone out options, even using the headphone out into the 3.5mm of the Q1. The fact that the cable was only a few dollars on amazon, but provided such an improvement I highly recommend it if you have a compatible device. The Q1 is a great purchase for an first time amp buyer. It allows a large feature set at a very low cost. And as FiiO has always managed to do, they have provided a product that is not only low cost, but has a big sound. Overall I am very happy with my purchase as it has allowed my sound quality to improve in all areas. And having the extra power to drive more difficult headphones is an added benefit of future-proofing myself. The battery life is also large enough be able to use the device for a very long time without having to search around for a charger. In short, another fantastic product from a reliable and consistent company! Brooko, egosumlux, twister6 and 1 other person like this. @cjs001 Ah OK, that makes more sense, if you've been listening to better quality sources. You should've lead with that. When used as a USB DAC on my work laptop, I leave bass boost off, it muddies the sound for me, depending on the music of course. If a heavy bass track comes on I might turn it on, but there's enough oomph in my opinion without the bass boost in USB DAC mode. I'm using a pair of Beyerdynamic DT-1350s, and listening to CBC Music, their stream is pretty decent quality for an online stream. Being this is a HiFi site, some may scoff at the idea of streaming, but give it a try. The 90's stream. Surprisingly good. @ShampooCA Yes, Experience colours perception. As for streaming and audio quality, as long as it is done right, I don't give a damn if it is an mp3 128kbps file or 32bit/392khz I've done abx testing in the past and so long as the compression are done right, I can't tell a difference more than 50% of the time. Files that have been compressed multiple time however, that I can tell. @Vividcard hrm... I thought the 1520 is capable of USB OTG, with it having newer Qualcomm processor, my 920 doesn't even capable of reading up USB thumbstick... well, ill be saving up for Surface Windows Phone by Microsoft, so all is fine For Bass Boost, I think its better adaptation than some others did, as it doesn't intrude into higher Frequency, also I find it make an M70X sound so perfect. Once again, FiiO gives us a lot for our money! About me: I’m 39 years old. I do have some hearing loss and suffer from mild tinnitus. I’m a metal head and listen all forms of hard rock to extreme metal. I’ve always liked music, but just recently got into more hi-end audio and equipment. Enough about me, on to the review. 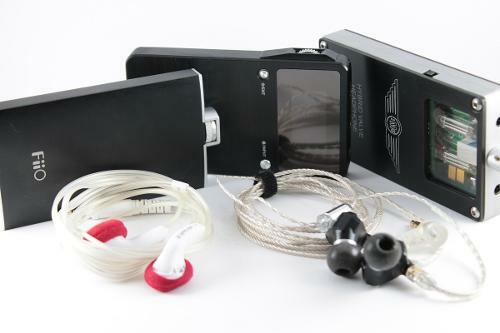 What you get: As usual, you get a neatly packed amp/DAC with lots of accessories. To hit the highlights, you get some silicon pads for stacking and a small interconnect cable (1" long and perfect). 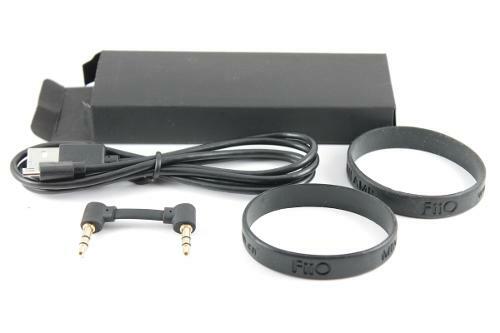 You also get a good instruction manual, charging cable, and a couple of bands for stacking. The review: I ordered the Q1 from Amazon and it arrived without issues. My soul purpose for buying an amp was to extend the battery life of my X3II. I do not own any hard to drive headphones and I was extremely happy with the sound of the X3II by itself. Where I was running into issues was when I use my OTG setup a few times a week and this takes anywhere from one to three hours off my battery life of my X3II depending on what OTG device I am using. I'd have enough juice to use it at work all day, but no juice left if I wanted to listen when I would get home. As you've figured out by now, I stacked the Q1 with my X3II using the FiiO stacking kit. For this review, I used my Grado SR60e and Sennheiser HD558 headphones. The Grados are 38 Ohms and the HD558 are 50 Ohms so the X3II alone was able to drive them without issues. The differences between these headphones is pretty clear, but I need to hit the cliff notes for those not familiar. The HD558 are warm sounding, somewhat analytical, great sound stage, and little to no bass (it's there, but only shows up depending on the track). The Grados are a little cooler sounding, smaller sound stage, punchy bass, and fairly detailed sounding. Both sets of cans paired well with the X3II alone, but sounded completely different. Once I got everything stacked together, I switched the Q1 on and plugged in my Grados. I used various genres of metal music (traditional, thrash, death, etc.). The bass boost switch was off when I began listening and I was not impressed with the sound. It was dry, bland, boring, and so on. I thought it just sounded terrible like this and was very disappointed. I honestly considered boxing this thing up and sending it back because it made things sound worse in my opinion. I tried low and high gain and had the same results. It was at that time I decided to give the bass boost a try. I flipped the switch and suddenly I was hearing what I wanted to hear. The bass boost gave the music body. It didn't make things muddy, but instead added life to it. To me, it was a night and day difference between the sound with the switch on or off. The Grados already had punchy bass from the X3II, but now it was punchy even at lower volumes and impact was greater. I didn't notice a difference in the sound stage because the Grados don't have a huge one to begin with. I did not notice a loss in detail, nor any gain either. The bass boost just adds some coloration that appealed to me and made the overall sound very pleasing. I found the low gain setting plenty for my needs and noticed no sound difference between high and low gain when volume was matched. After a week, I decided to give my HD558 a go with the Q1. I used the same music and I have to say I was very surprised. With the bass boost off, once again it was just boring and did nothing for me, but I had to try for the purposes of this review. After I got that out of the way, I flipped the switch again. What I got here was the Q1 cooled the HD558 sound down which to me was a good thing and gave it some richness that just wasn't there before. I even got some bass to show up more than what I was experiencing before. I got a little punch that was missing and every now and then you could feel some impact (which wasn't there before at all). I really couldn't tell a difference in the sound stage, but once again the Q1's coloration was very pleasing to me with these headphones as well. I've found myself listening to this set of headphones a lot more now since I really enjoy the sound of them with the Q1. 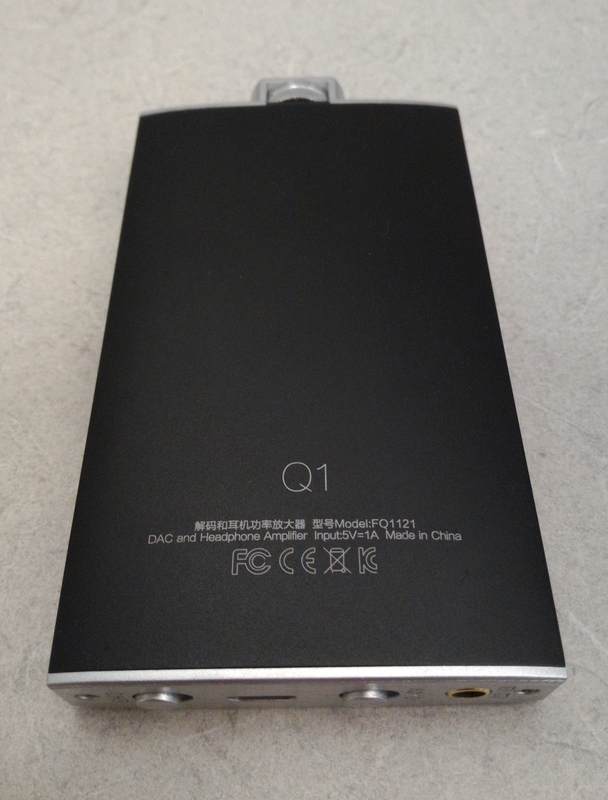 As of this review, I have not used the DAC of the Q1. The X3II is my primary listening device and I've never even used the DAC in it. If I get around to that, I will add my thoughts to this review. If anyone is interested, I'm getting right around 14.5 hours of use out of my X3II just playing MP3s. I get 11 hours using my Sandisk 128gig OTG flash drive and nine hours when using my Transcend OTG card reader. My only gripe about the Q1 is that bass boost switch. I feel they could have just made the Q1 without it. This is just my opinion, but I think others will agree with me that the sound of the Q1 with the bass boost off is useless. It should have just been built sounding like it does with the bass boost on and no switch. I know someone will disagree, but until you hear it for yourself, please refrain from commenting. @pixelwitch I don't disagree with you, that's why I specify that it's my opinion. Yours may differ from mine and that's okay. As far as portability, around the house I throw the stack in my sweat pants pocket or in the back pocket of my jeans. It's not to bad, but I don't use this to work out (that's what my Sansa Clip+ is for). Might be a little more portable with the not as thick X1. I wish I had some more power hungry cans to better test the high and low gain to give a better take on that. @pauliunas, I wouldn't say it adds bass so much as it adds a coloration without diminishing the other frequencies. The best way I can describe it is that it just adds body and richness, yet still maintains the mids and highs. I hope that makes sense. I'm not a bass head, but like the impact of a bass drum or the pounding of the double bass drum and this amp does bring that out, but it's not bloated or booming. It just adds some more punch and impact. This is why I sometimes hate describing sound, but I would recommend hearing it for yourself to see where I am coming from.